At last, I’ve managed to finish my final post from Stockholm. It’s taken a while thanks to an unexpected couple of weeks messing around in the Czech Republic, or Czechia as it’s now known for reasons that seem to escape even Czechs. Rewinding my memory, my last day in Stockholm was spent in the busy city centre streets of Norrmalm, and around the lovely island of Skeppsholmen. I ended the day at an event in the City Hall, the 1920s red brick Stadhus sitting on the waterside with its distinctive tower. This is the place where the winners of the Nobel Prizes in Physics, Chemistry, Medicine and Literature come every year to celebrate their achievements at the official banquet (the Peace Prize is held in Norway). The grand sweep of the staircase from the central courtyard leads up to the Golden Hall where the Nobel Prize Ball is held. The Golden Hall is extraordinary. Decorated in gold mosaics depicting events from Swedish history, it looks like it might have been transported from ancient Byzantium. I was lucky enough to have been invited to the Stadhus in the evening, when the lights of Gamla Stan and Södermalm sparkled in the water. 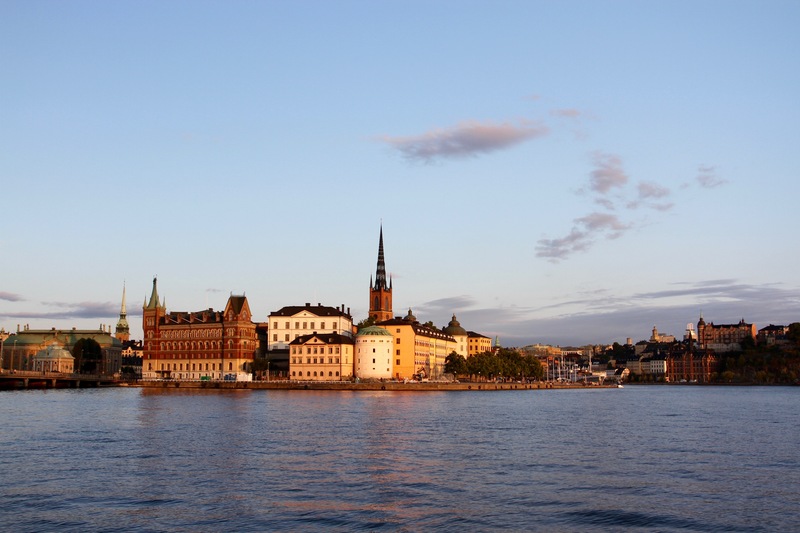 It confirmed for me Stockholm’s status as one of Europe’s most beautiful and elegant cities. This thought had been growing in my mind throughout the day as I strolled through fascinating streets lined with magnificent houses, pleasant parks, and along the ever-present waterfront. The city may be increasingly bike friendly, but discovering Stockholm on foot is highly recommended. The Norrmalm district gets a bad rap compared to other parts of Stockholm, but that seems a little unfair. In large part this is because insensitive 1960s urban planning saw many old buildings torn down and replaced with charmless modern alternatives. The rotating neon sign of Nordiska Kompaniet, an upmarket 1902 department store, is the unofficial emblem of the district. In the surrounding streets, squares and parks, life is being lived, and there’s a wealth of things to explore, from historic churches to some of the city’s best museums. Norrmalm also has a remarkable number of good restaurants. 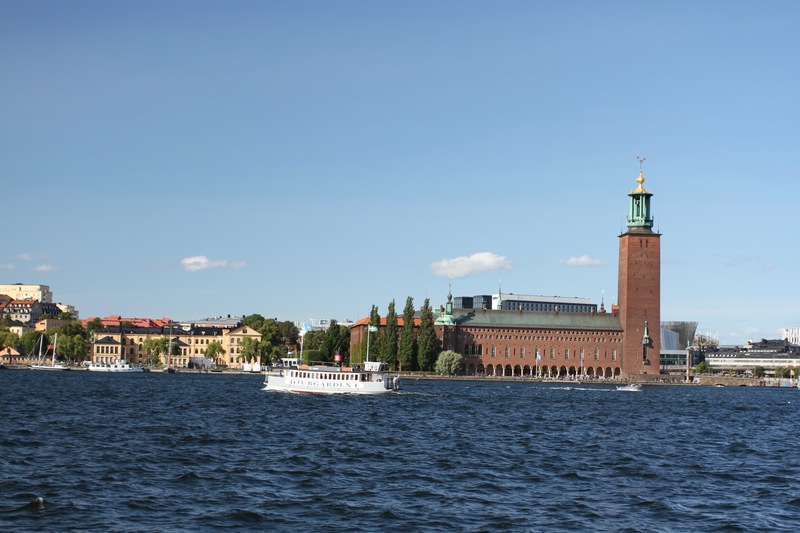 Wherever you go in Stockholm, you never seem to be far from water, stunning scenery and magnificent views. The small island of Skeppsholmen is no exception. In the early morning the views across the tranquil surrounding water were magnificent. 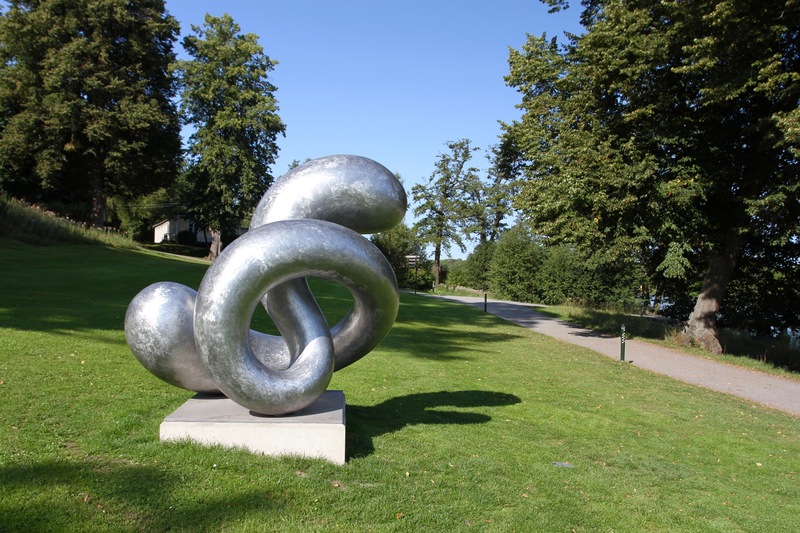 The island also hosts the Moderna Museet, a wonderful modern indoor and outdoor art gallery. When I visited it was quiet and seemed untroubled by the tour groups that can make other museums and galleries a trial by tourism. Crossing the bridge that connects Skeppsholmen with the rest of the city, I walked around the island past the 19th century sailing ship, the af Chapman. The ship was built in 1888 in Whitehaven, a small town in the present-day English county of Cumbria, near to where I was born. Proof, perhaps, that our connected histories are rarely far away. It’s first voyage was to Portland, Oregon, in the USA. 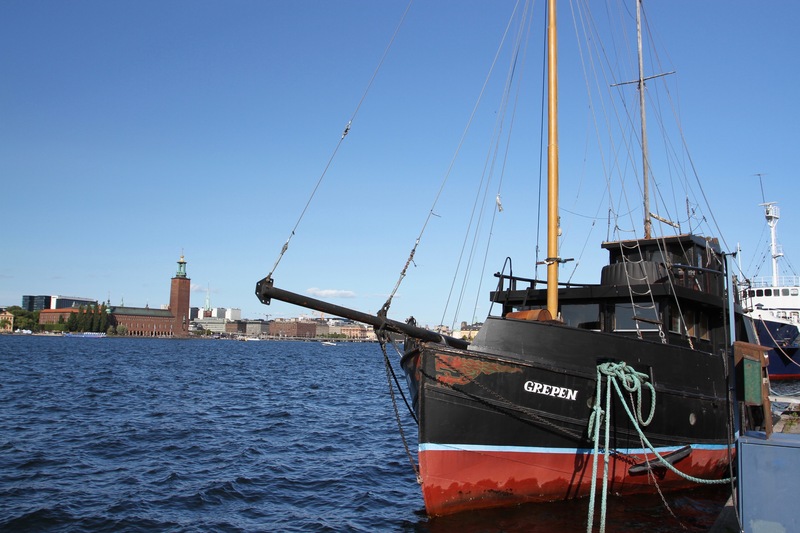 It later sailed to Australia and was bought by the Swedish navy in 1923. Decommissioned in 1934, it was saved from being scrapped in 1947. It’s now a youth hostel. On a warm, sunny autumnal day, it’s hard not to envy Swedes their wonderful capital. At least until you buy something and it costs twice what you might expect. Just a few days exploring Stockholm had revealed a cosmopolitan, stylish and fun city, as diverse as its increasingly diverse population, but a few days don’t do this city justice. I might have to wait until Spring and warmer weather before going back, but this is a place that demands repeat visits. Earlier this year, a Swedish newspaper ran an online survey amongst the residents of Stockholm, asking them which of the city’s fourteen islands they would be most happy to see sink, Atlantis-like, without trace. 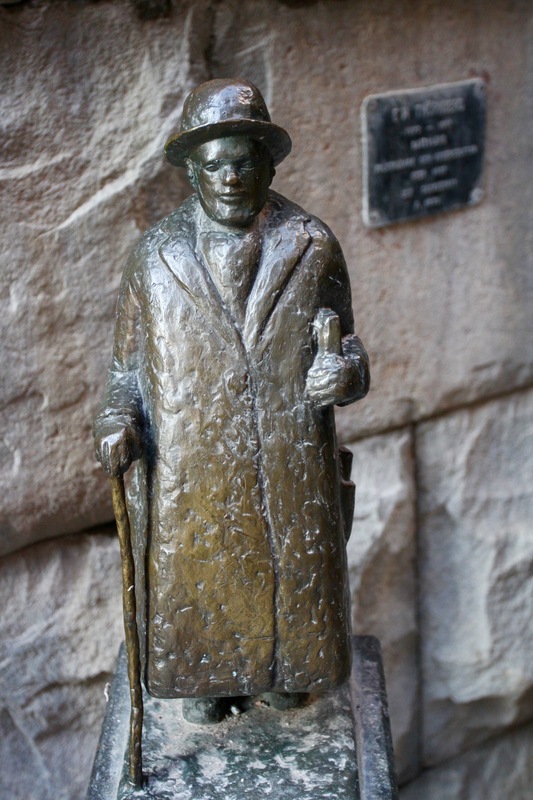 Stockholmers chose to allow Gamala Stan and its tourist hordes to survive; and were content that Södermalm’s hipsters should live another day. Instead, they decided that Djurgården with its museums, historic houses and beautiful parklands was the island they would miss the least. This is the first time in history that hipsters have been chosen to survive over world class museums. Djurgården was once the hunting grounds of the Swedish Kings, and although it’s in the heart of Stockholm it retains the wild ruggedness of those days. 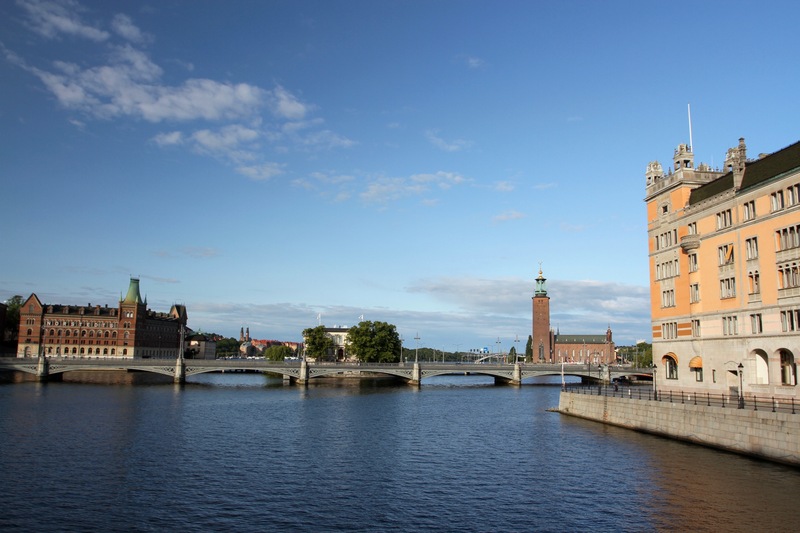 It’s still owned by the royal family, but is now open to the public and is where you’ll find several of the city’s finest museums, the Gröna Lund amusement park and plenty of walking trails. 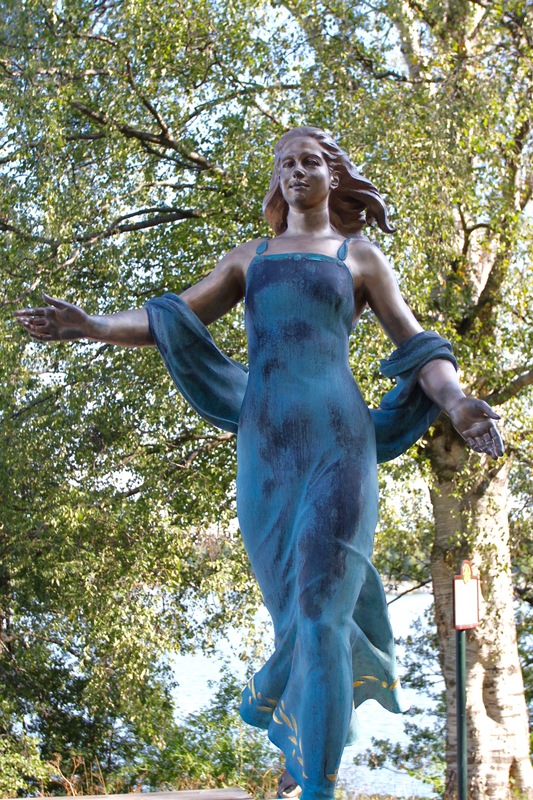 It’s a peaceful place to stroll, paths snake through woodlands and along waterfronts. Even on a warm day when Stockholmers flock here, it doesn’t seem crowded. Djurgården is often referred to as Stockholm’s green lung but, in a city as green as this, that seems a bit redundant. 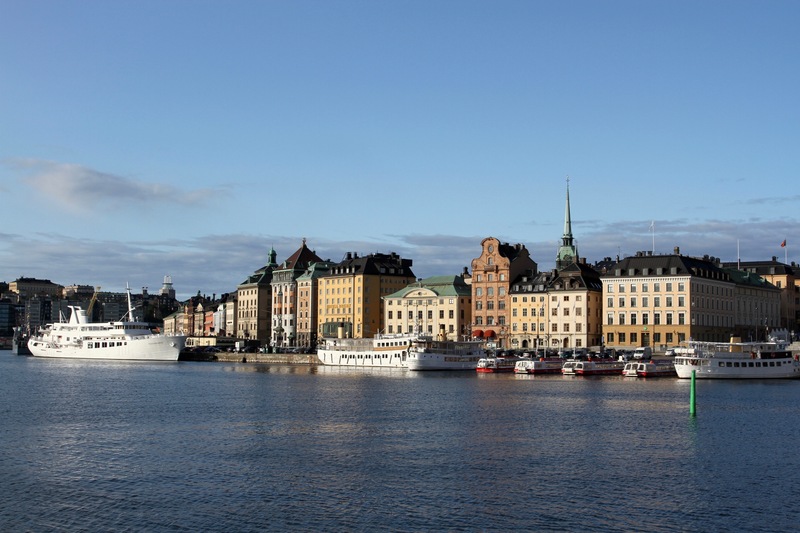 Walking out of the town centre early in the morning, I passed along the quiet Strandvägen waterfront with views to Gamala Stan on one side and beautiful, aristocratic town houses on the other. I came to Djurgården to visit the Vasa Museum, but the weather was so good that afterwards I went for a long walk in the island’s huge green space. Thanks to its Royal status the island never developed as a population centre, and even today only around 800 people live there, which helps explain the tranquility. 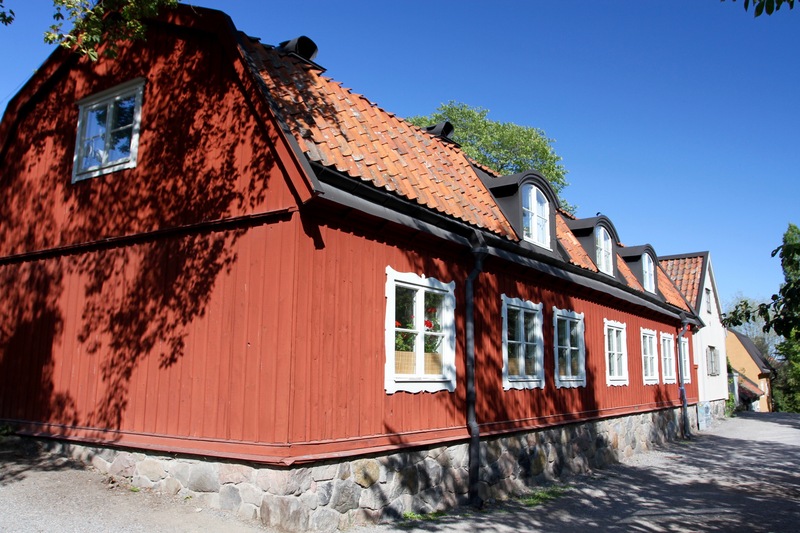 Leaving the Vasa Museum behind, I headed past the wonderfully kitsch ABBA Museum (which I’d have loved to have visited), and around Gröna Lund, before passing a collection of colourful traditional wooden houses – presumably where the majority of the island’s population lives. I soon found myself in parkland wandering through woodland. The island is home to a number of surprises, the first one I came across was organic vegetable allotments with an attached cafe. A little further on, spotted down a wide sweep of lawns, was the Rosendal Palace. 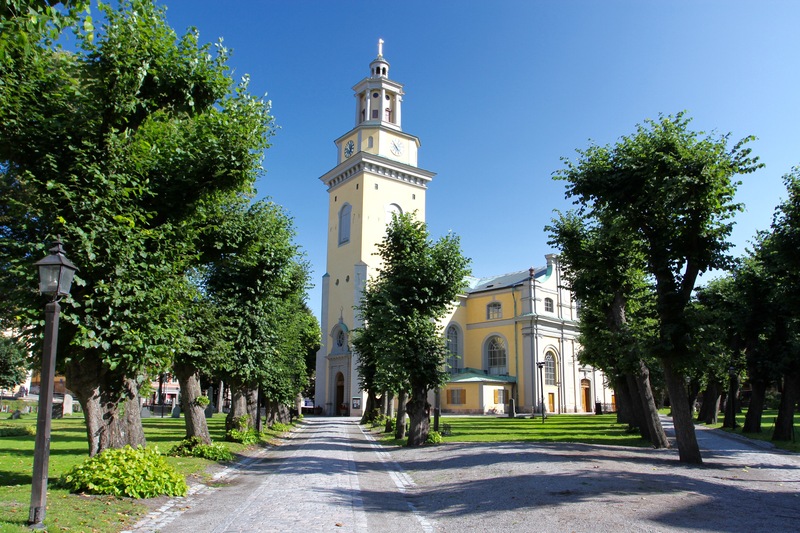 Built in the 1820s for King Karl XIV Johan, it was formerly a pleasure palace ideal for summertime retreats. I thought it was now a public building, but it turns out that it’s still used as a Royal residence, most recently for Prince Carl Philip and former model, now Princess, Sofia Hellqvist. I reached the waterfront on the northern shore of the island and headed back to town. 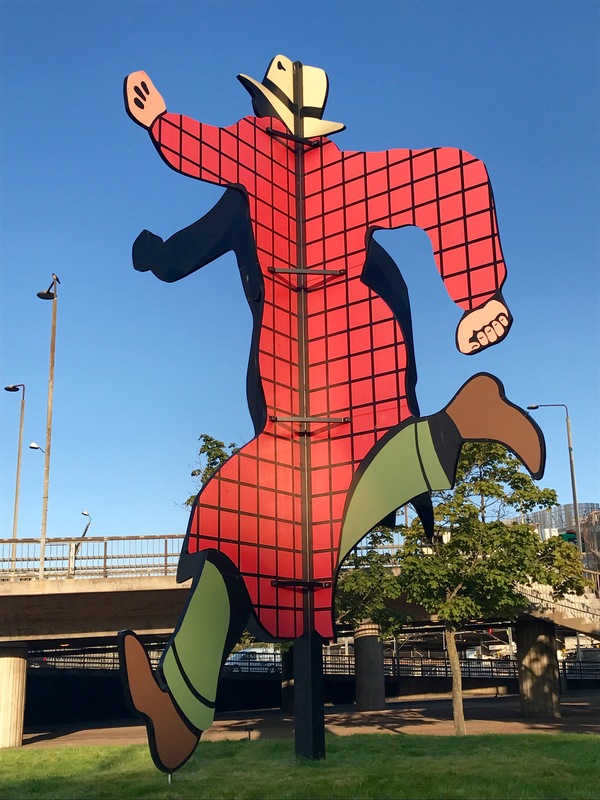 There are fabulous views to be had of Stockholm and I discovered a couple of pieces of public art along the way. Making it back to civilisation, I realised I’d been walking for a couple of hours in the heart of a European capital city without ever feeling like I was in a city. That is one of the many unique charms of Stockholm. 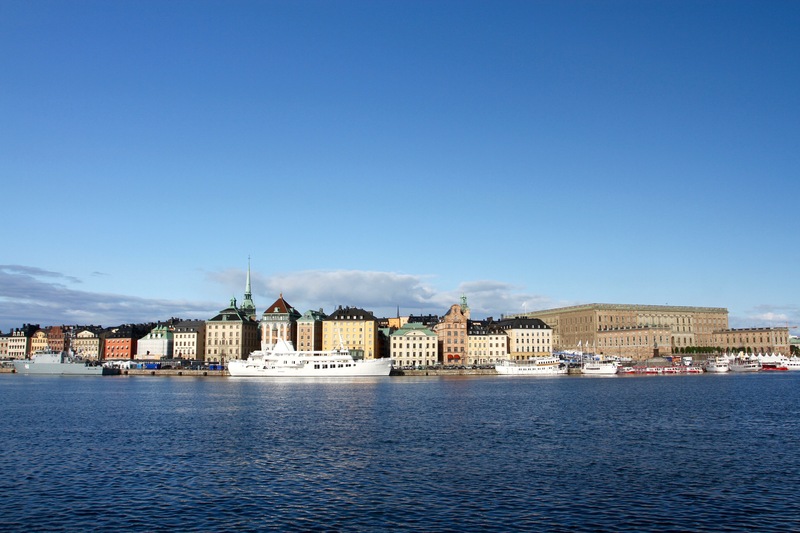 Normally, just the word ‘hipster’ would be enough to have me heading in the opposite direction but, despite the alarming number of 19th century moustaches on display, Stockholm’s hipster capital of Södermalm is a fascinating and fun area to visit. 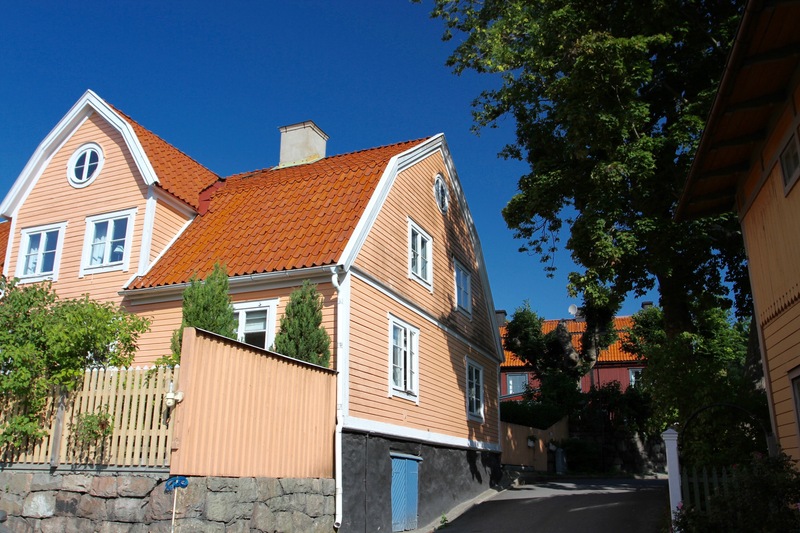 The SoFo neighbourhood might be renowned for boutique shopping, trendy coffee shops, excellent restaurants and vintage clothing, but Södermalm is also home to lovely parks, centuries old traditional wooden houses and spectacular views to Gamla Stan and northern Stockholm. 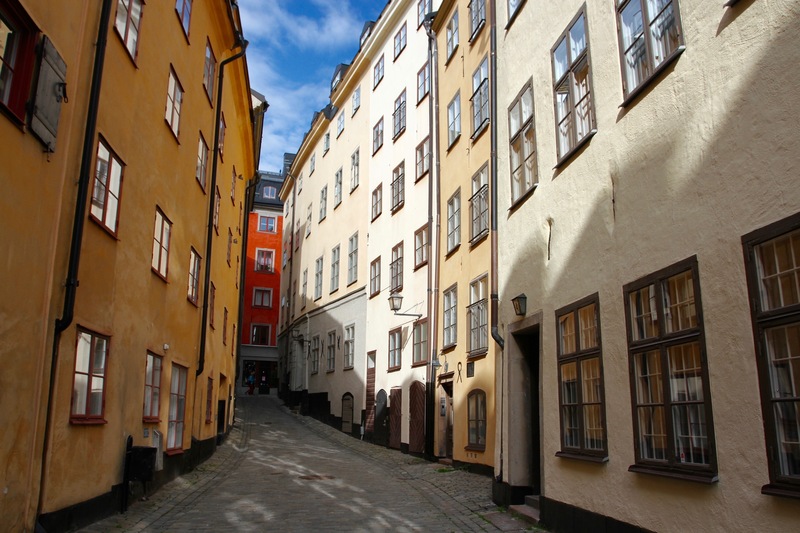 It’s no surprise that Södermalm was one of the settings for Stieg Larsson’s The Girl With the Dragon Tattoo. It wasn’t always this way. Long before ‘artisanal’ and ‘overpriced’ came to mean the same thing, this was a working class neighbourhood. 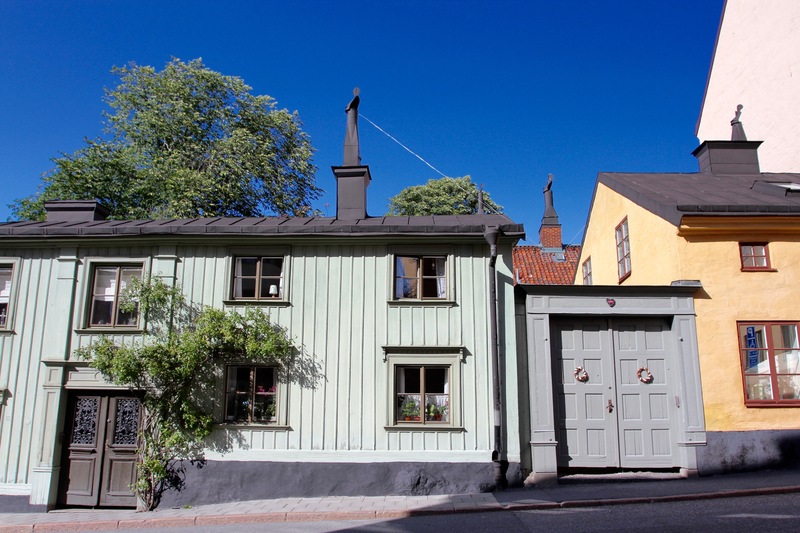 Modern-day Södermalm is a product of a couple of decades of gentrification that have left it with few reminders of its former life, or former population. 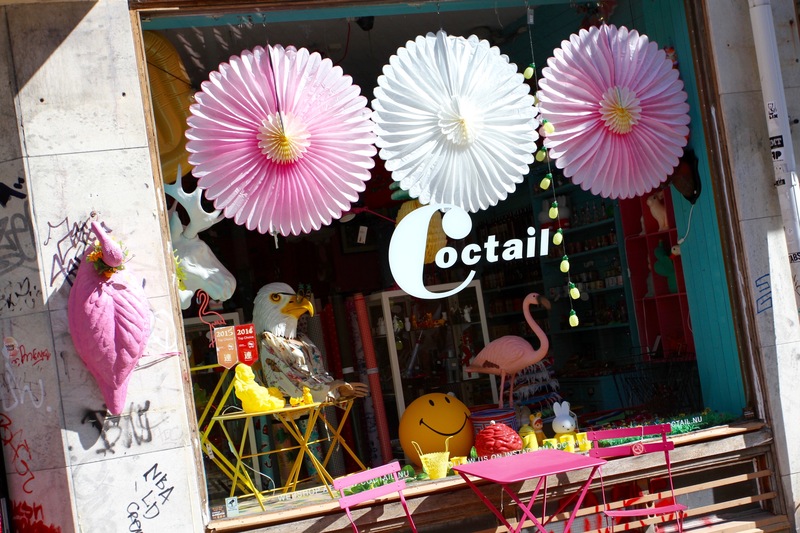 In 2014, Vogue magazine named it the ‘coolest neighbourhood in Europe’. That might sound like somewhere to avoid at all costs, but it’s a varied area that rises above the cliche. This was all rural until the 17th century, when working class neighbourhoods were built on the island. 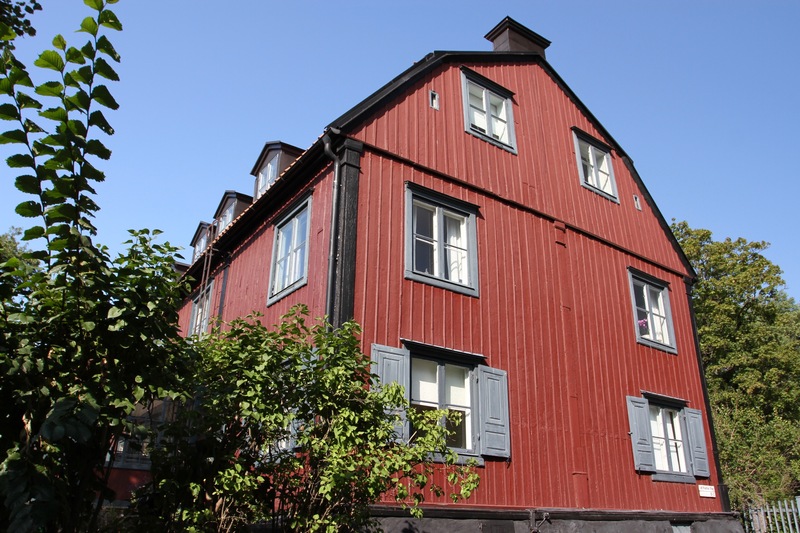 The lovely red-stained wooden cottages that can still be found in parts of Södermalm originate in that period. By the 18th century it was known as an impoverished area, famed for lawlessness, hard drinking and other pleasures of the flesh. Topics to which its most famous son, the composer Carl Michael Bellman, frequently referred. This is also the birthplace of early 20th century film star, Greta Garbo. 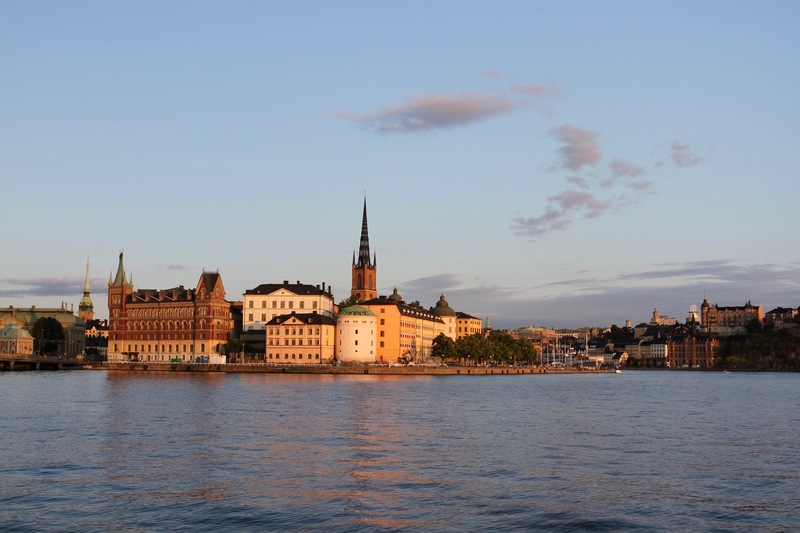 I arrived on Södermalm from Gamla Stan and walked along the waterfront with views to the island of Djurgården. From here I had to climb up a very steep stairway to get to the top of the cliffs that rise abruptly from the water’s edge. I didn’t have a plan so just followed my nose (and Google maps) to places that seemed interesting. 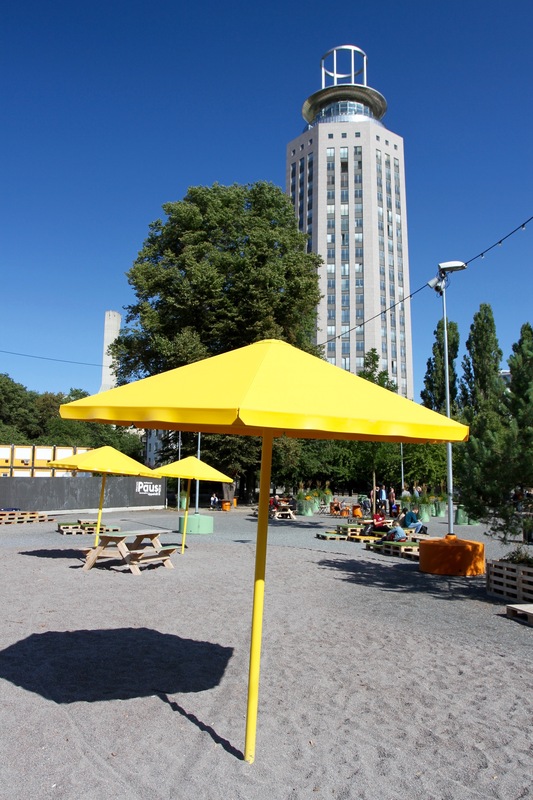 In the scenic Vitabergsparken there were some old wooden houses and an open air photographic exhibition with street food stalls; people sunbathed and families picnicked. From the Vitabergsparken, I headed deep into hipster territory, the dozen or so blocks of Södermalm known as SoFo. Luckily, hipsters have good restaurants. I settled down to have lunch next to a park filled with young families and watched the world go by. On a warm weekend afternoon the atmosphere was fun and relaxed. I almost managed to forget that there were an inordinate number of people wearing perfectly groomed beards and moustaches. Over lunch I was looking at the map on my phone and was intrigued by a castle symbol labelled as “The Secret Little Horse”. 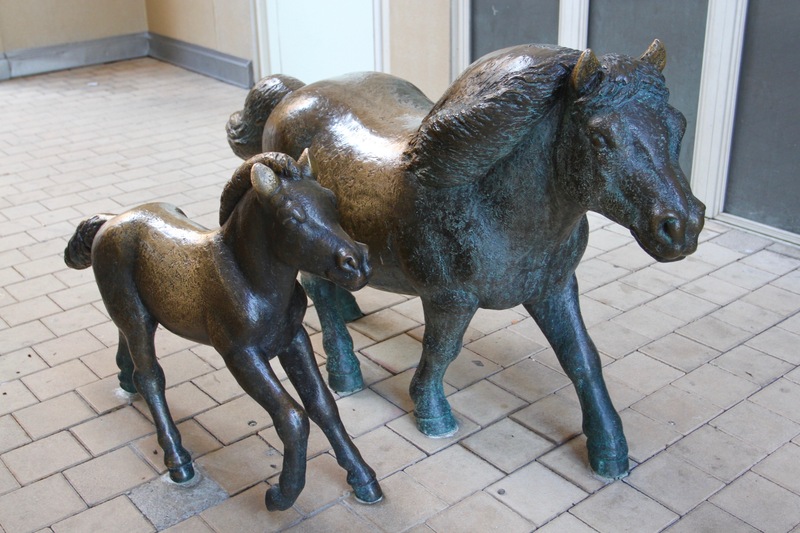 I decided to investigate and unearthed a statue of two horses near the Fatbursparken, an urban park with, bizarrely, a ‘pop up’ park inside it. 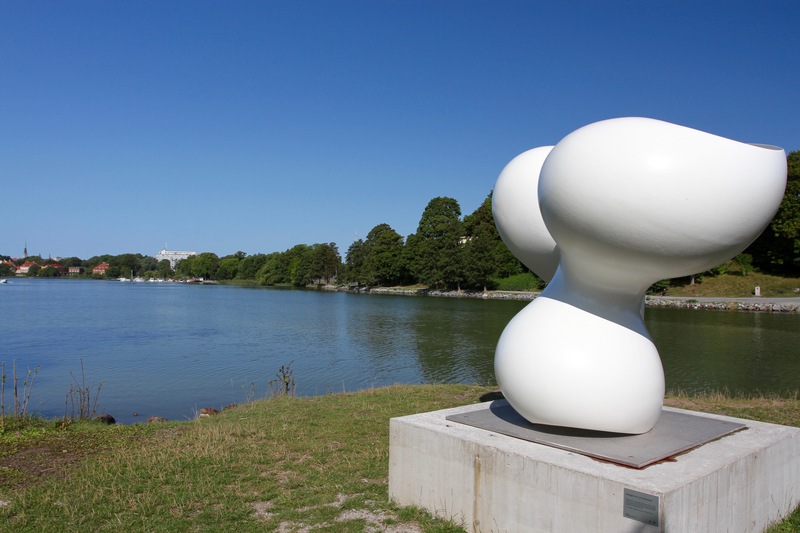 It was an inspired decision, Fatbursparken is a modern park that also doubles as an outdoor art gallery. The Secret Little Horse is, in fact, Daphne and Olle, a sculpture by Irish-born, Swedish artist Aline Magnusson, who specialises in animal sculptures. The area was busy with people enjoying the sun as I made my way through pleasant streets towards Skinnarviksberget, a vantage point above a former brewery that offers splendid views over the city to the north. The area is dotted with green spaces, which give it a feeling of still being semi-rural, in one small park a band was practicing and people were taking the opportunity to have a free outdoor concert. The clamber up the rocks of Skinnarviksberget were worth it for the beautiful views of Kungsholmen. 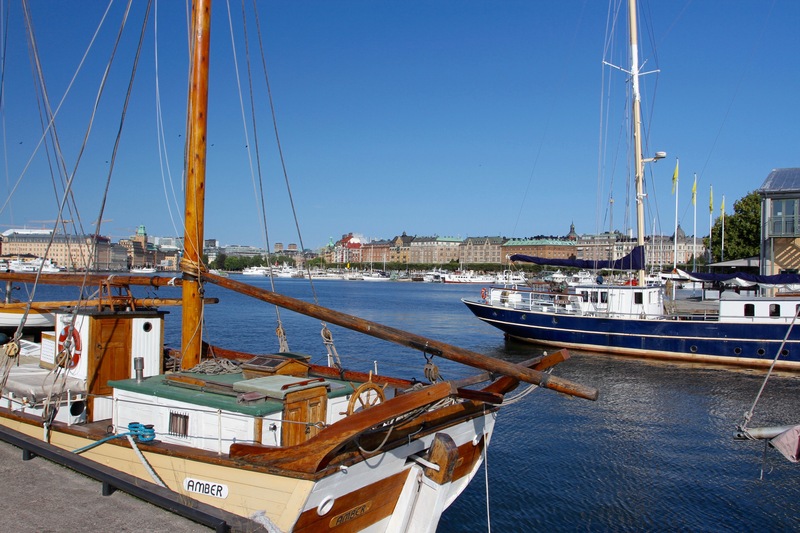 Afterwards, I walked through the park to the waterfront and back to Gamla Stan, but not before stopping at one of the many boats that also double as hotels, restaurants and bars. 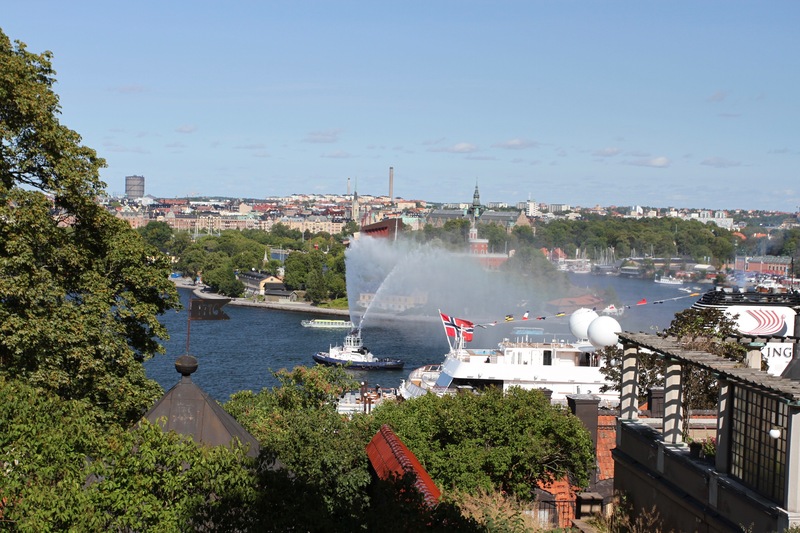 I sat out on the deck with a cold beer and watched boats sailing past with Stockholm as a backdrop. It really is a very picturesque city. 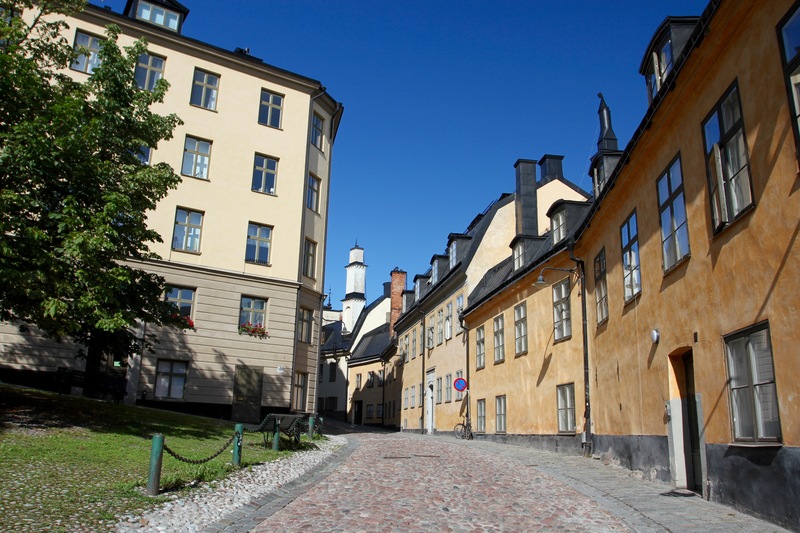 It might be small, but Stockholm’s medieval centre is a place that rewards repeat visits and slow exploration. 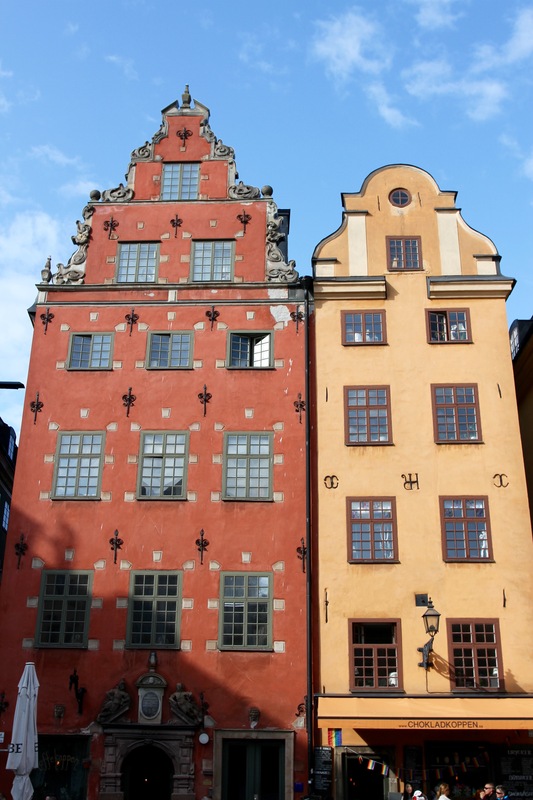 The streets of Gamla Stan may be packed with tourists but they are equally packed with history and lined with extraordinarily beautiful buildings, it’s remarkable that it has survived to the modern day in such a well preserved condition. I spent a lazy morning wandering its cobbled streets, but passing through Gamla Stan on my way to and from Södermalm to the south allowed me to uncover more of this spectacular little place. The last time I was in Stockholm was over a frozen March weekend ten years ago. I still remember the biting cold as we walked through the city and took a boat trip around the waterways and islands. The light fades fast in March, and with it the temperature falls even further. It was a weekend that incentivised indoor activities. This visit was very different, hot and sunny late summer weather made spending the day outdoors a real pleasure, and Stockholm is a fantastic city to explore on foot. 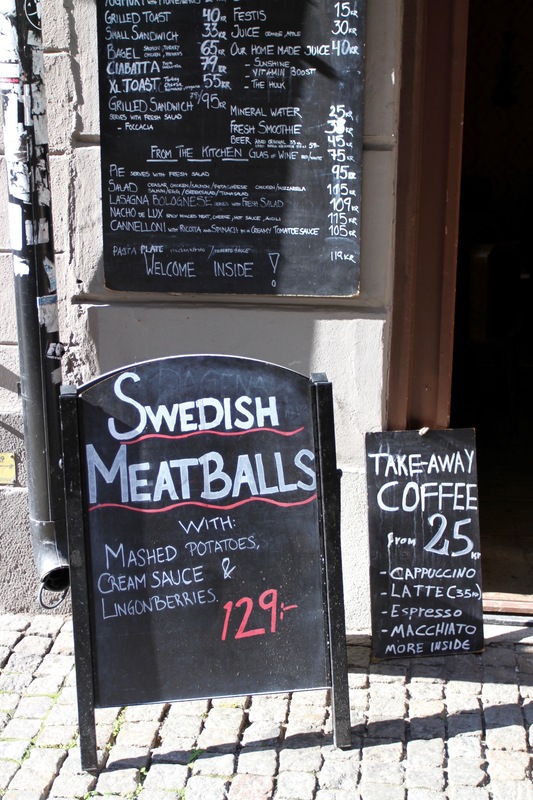 The warm weather had brought Stockholmers into the streets and filled the outdoor tables of cafes and restaurants. 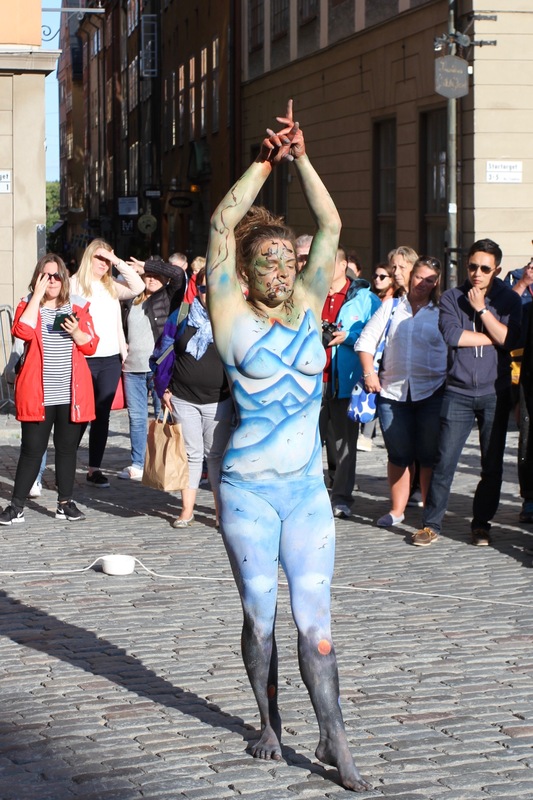 As I passed through the magnificent Stortorget square a semi-naked painted woman performed in front of a large crowd in the shadow of the Nobel Prize museum. In the surrounding cafes people sat sipping chilled wine in late afternoon sun as a stag party, wearing only yellow IKEA t-shirts and blue IKEA bags as trousers, crowded into a bar. Surreal though it might have been, it was a scene that was perfectly at ease with the medieval surroundings. 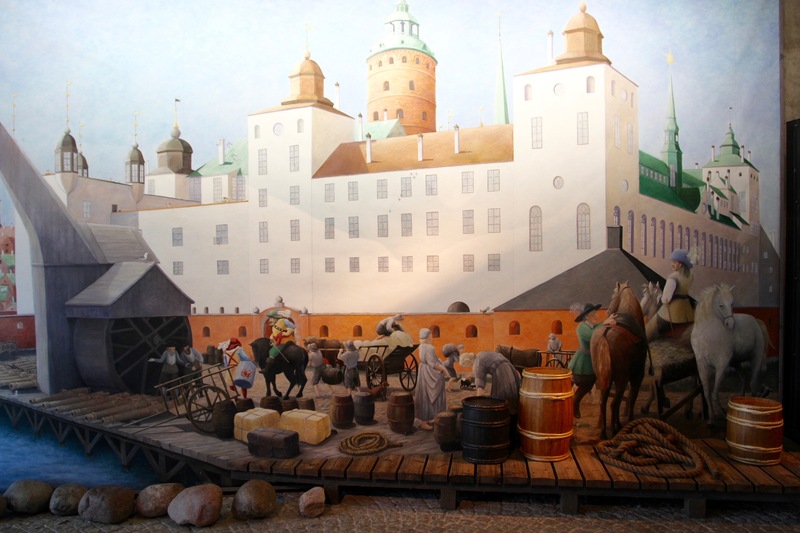 The scene in Stortorget nearly five hundred years earlier was very different. 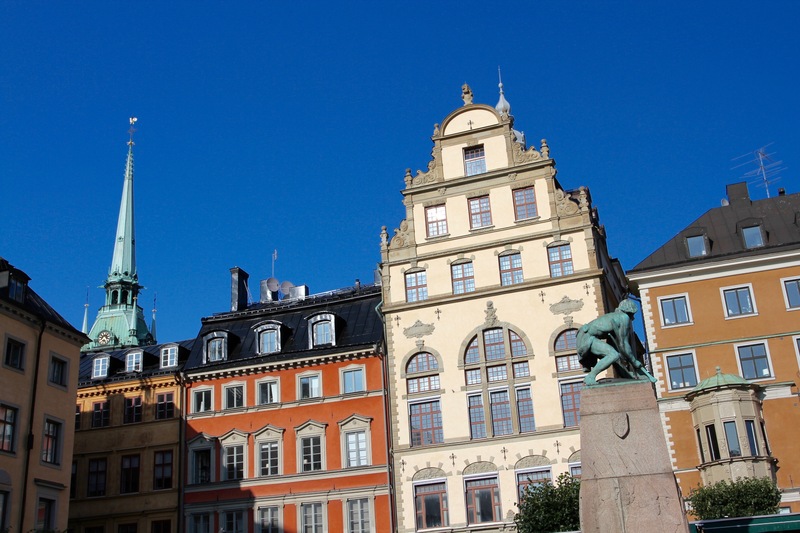 In 1520, it was here that the Stockholm Bloodbath took place, when the Danish King, Christian II, massacred over a hundred opponents amongst Sweden’s nobility. In the 16th century Sweden was effectively ruled by Denmark, and the massacre was intended to put an end to a Swedish pro-independence movement. It was just one of numerous incidents that punctuated several centuries of conflict between the two nations. Around the corner from the Stortorget is the Storkyrkan, Stockholm’s cathedral. The ochre exterior glowed in the sun as I popped in to see the glorious wooden carving of St. George and the Dragon. 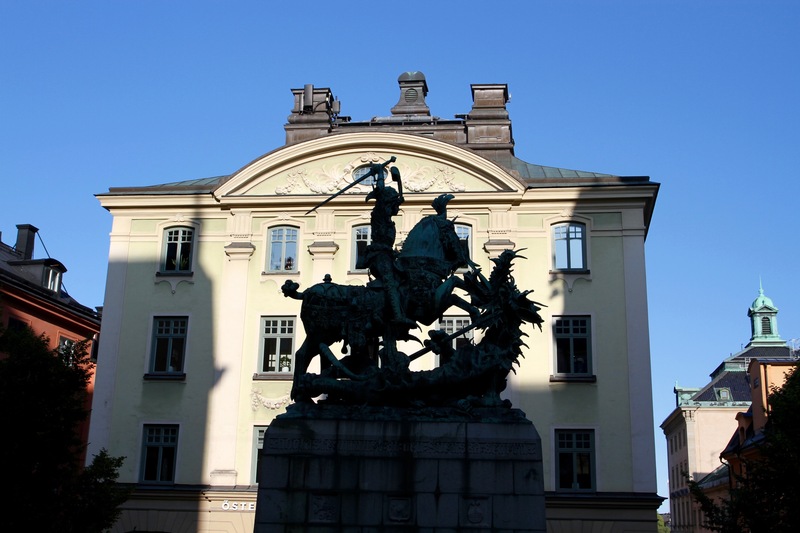 Commissioned to commemorate a 15th century victory over the Danish at the Battle of Brunkeberg, St. George defeating the dragon has been adopted as the symbol of Stockholm and can be spotted all over the city. As I strolled after leaving the cathedral I came across an exact bronze replica silhouette against an 18th century building. 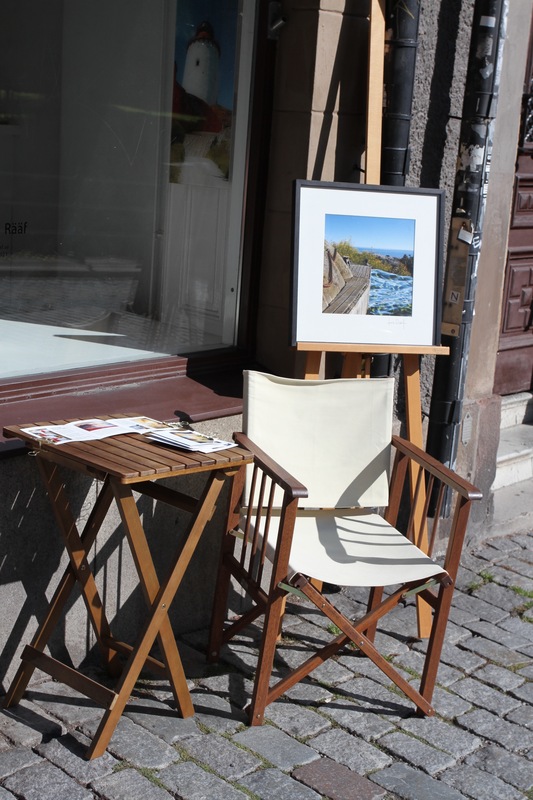 As the late afternoon turned to early evening, a peacefulness descended on the streets of Gamla Stan and it started to empty of tourists and day trippers. At dusk the alleys and lanes are an intensely atmospheric place to wander. After a long day of strolling, I stopped to have some food in a small traditional restaurant. Swedish food may be going through something of a renaissance, but it would be fair to say that it is pretty stodgy and/or fishy. I ordered a classic dish of Swedish meatballs accompanied by tangy lingonberry jam. While I waited for my food to arrive I pondered a question that had been troubling me all day: why, when in Sweden, are meatballs still called Swedish meatballs? Should they not just be called meatballs? 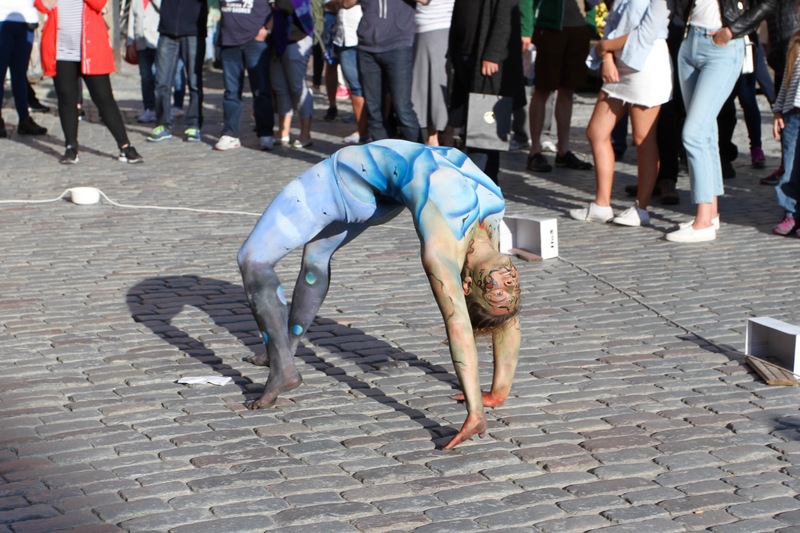 Are tourists so easily confused? Or perhaps unaware of which country they are visiting? I then realised that the same applies to the Full English Breakfast. In England it should be known as a Full Breakfast. This, though, is the way madness lies, so I stopped thinking and tucked into my delicious Swedish meatballs. The sun was setting and the light fading as I crossed the Riksbron bridge in front of the Swedish parliament, and made my way along the waterfront to the iconic redbrick city hall. The lights of Stockholm were gloriously reflected in the surrounding waters, and the views back towards Gamla Stan and the cliffs of Södermalm were simply stunning. I sat for a while in the warm night air admiring one the finest views that any European city has to offer, and made plans for the following day. 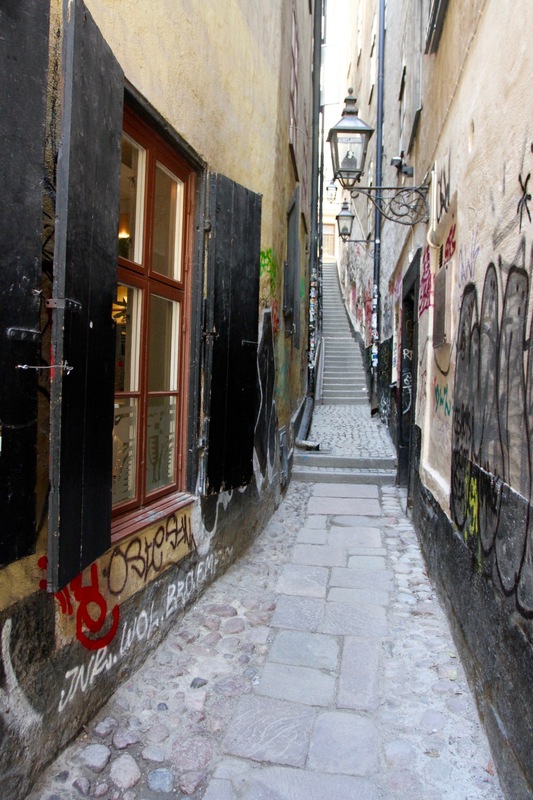 Walking around Gamla Stan, the medieval heart and soul of Stockholm, feels a little like walking in a time capsule. At least it feels that way if you get here early in the morning, before the daily tourist onslaught, or wander its cobbled streets after dark, after the majority of day trippers have left. Arrive here in the middle of the day and you can expect the narrow streets to be filled with freewheeling tour groups from every corner of planet earth. 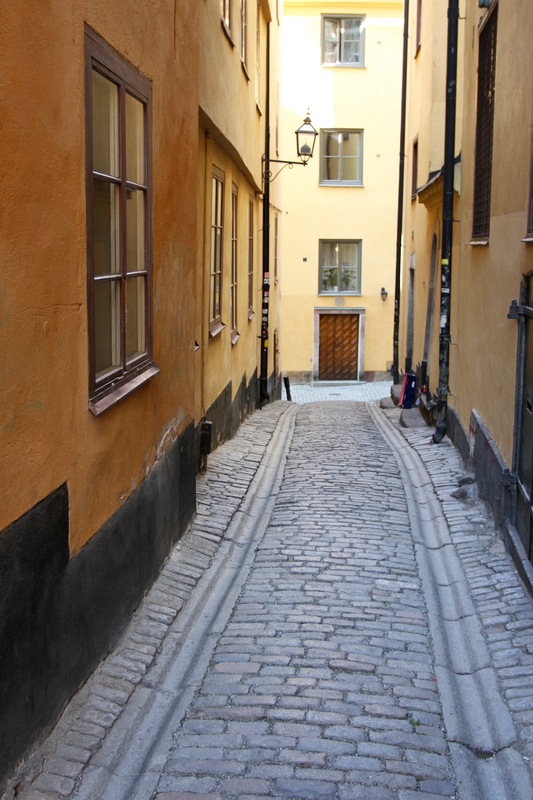 I arrived early to explore Gamla Stan’s atmospheric streets, and had a few hours of pleasant strolling before the streets began to get noticeably busier. 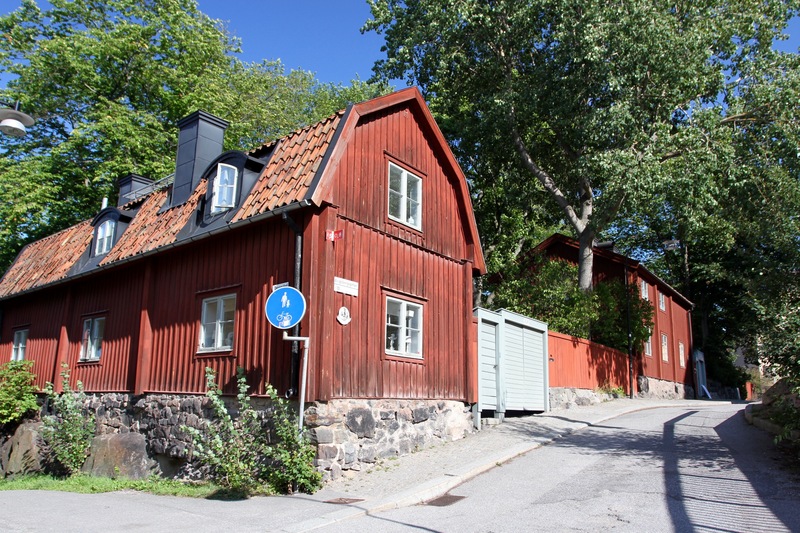 Around midday, I abandoned the increasingly crowded lanes and alleyways, heading to the less touristed streets of Södermalm to the south, but this small island isn’t just about tourism. 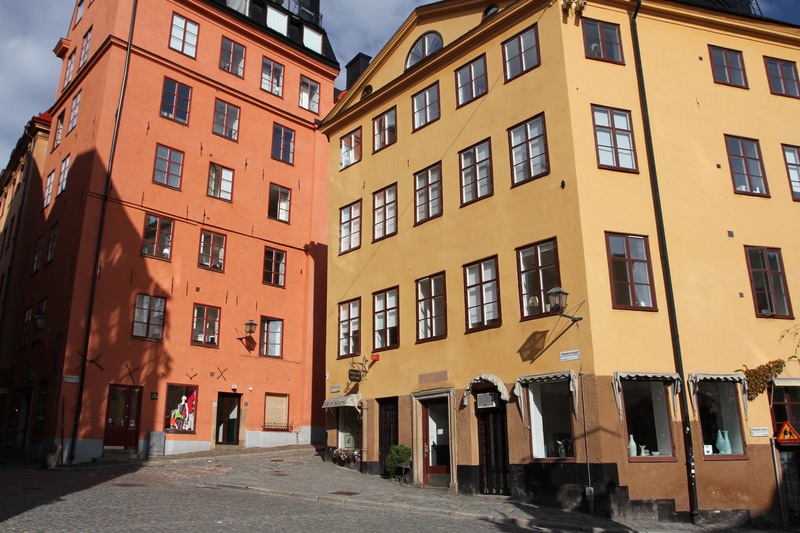 The beauty and history of Gamla Stan would draw me back several times as I wandered around Stockholm during my stay. 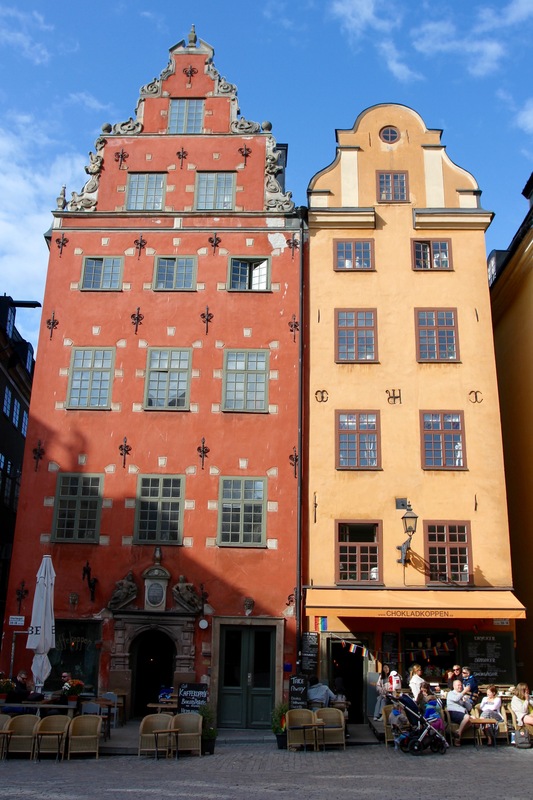 In the 13th and 14th centuries, Gamla Stan was Stockholm. Like a drop in water, it is the centre from which modern Stockholm rippled outwards. 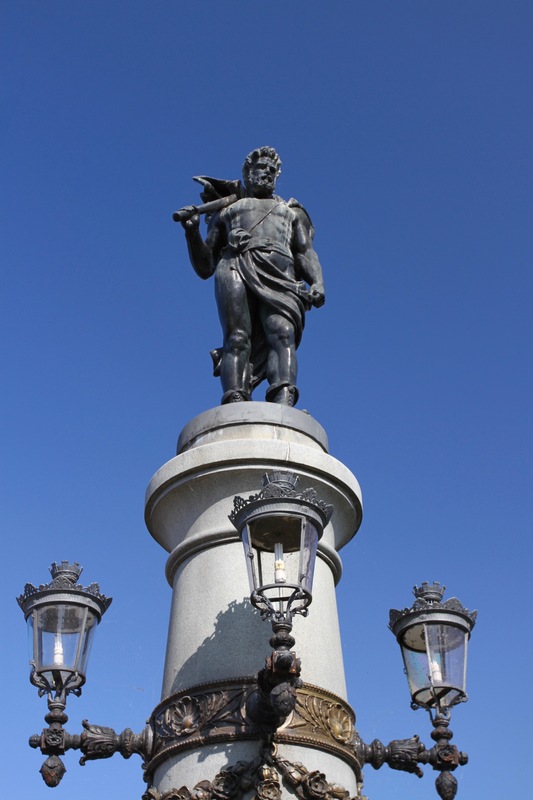 It contains many of the most historically important buildings in the city, many dating from the 16th and 17th centuries. 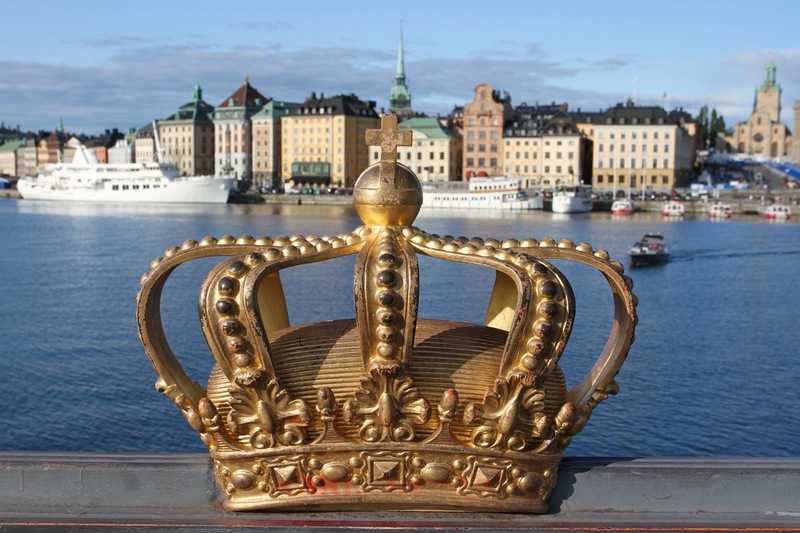 This includes the massive Royal Palace, which dominates a square block of the island; the 13th century Church of St. Nicolas, or Storkyrkan as it’s better known; and the delightful ancient town square of Stortorget, containing some of Stockholm’s most iconic buildings. In between these landmarks are a labyrinth of small lanes, cobbled alleyways, and steep ginnels. 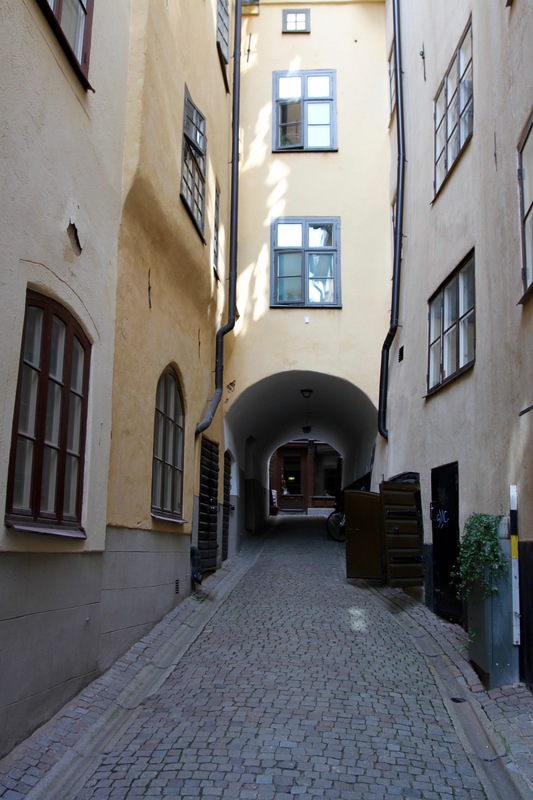 Even in Gamla Stan I often found myself alone in these out of the way areas, rejoining the crowds on the main streets and squares. 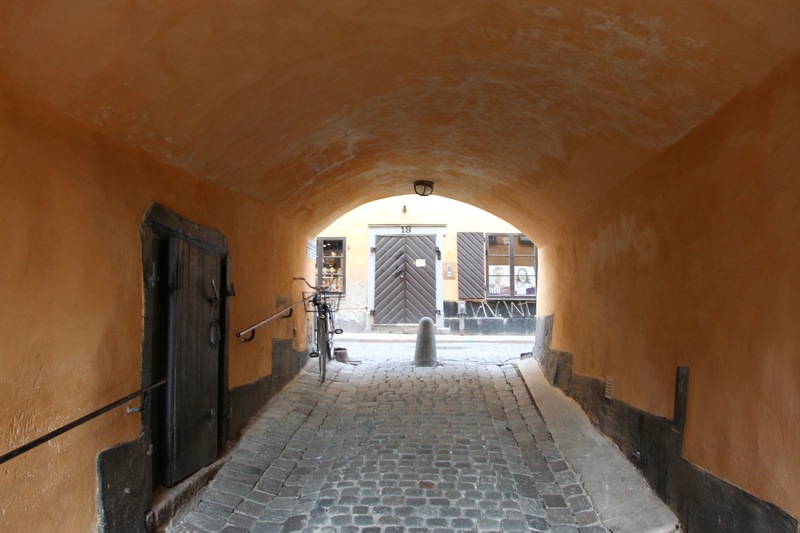 What you see today owes much to the renaissance the medieval Gamla Stan (imagine dark, overcrowded and dirty streets) underwent in the 17th century, when Sweden was a major European power. It was then that it acquired the grandeur that draws millions of visitors every year. 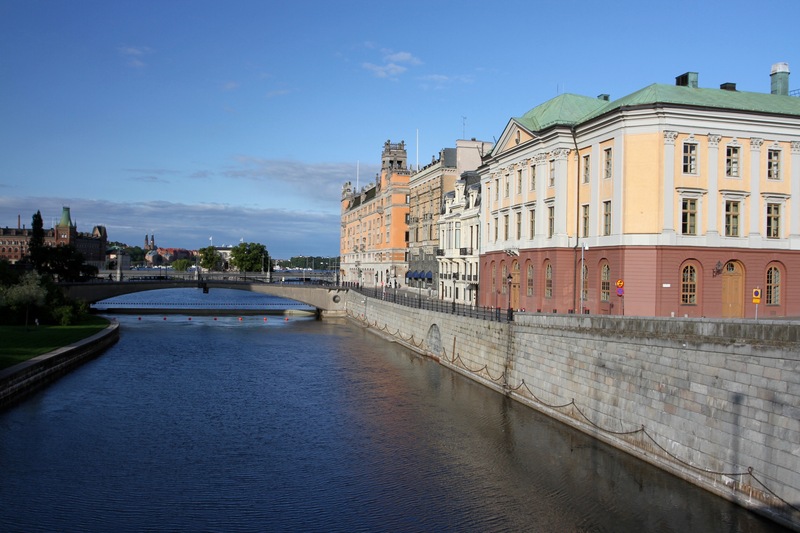 Given its global renown, Gamla Stan only got its name in the 1980s, before then it was simply known as staden mellan broarna – town between the bridges. This is a pretty accurate description, but it’s not exactly the most glamorous name for such an historic beauty. As I walked over one of those bridges in the bright early morning sun, the water was reflecting the bright buildings that ring the waterside. It’s possible at times like this, with no traffic and few people, to imagine the ancient city. 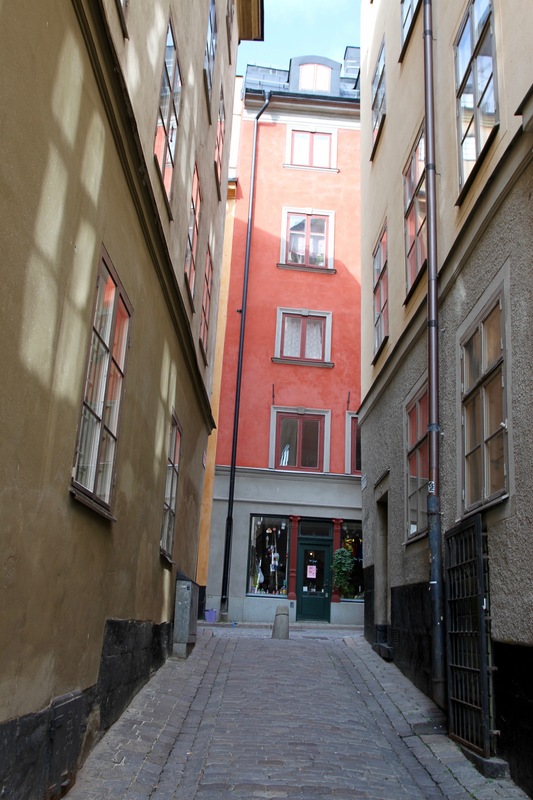 The streets of Gamla Stan seem to drip history. It’s made all the more authentic by being mostly pedestrianised, a rarity in modern Europe. It makes exploring the island all the more pleasurable. It’s not all quaint history though, there are lots of good cafes, restaurants, bars and even microbreweries in which to wile away an hour or two while watching the crowds – and even the occasional stag party from Britain – go by, before hitting the cobbles for more historic exploration. It’s remarkable to think of it today, but for just over a hundred years in the 17th and 18th centuries Sweden, with a tiny population, not only created an empire that came to dominate the Baltic region, it was one of the most powerful nations in Europe. Swedish armies were feared across the continent, and Sweden was a power broker to rival even The Sun King, Louis XIV of France. The high point of Swedish power came at the end of the Thirty Years’ War at the Treaty of Westphalia in 1648. The treaty that also secured Dutch Independence from Spain. Swedish power dramatically collapsed in 1709, defeated by the armies of Peter the Great of Russia at the Battle of Poltava. 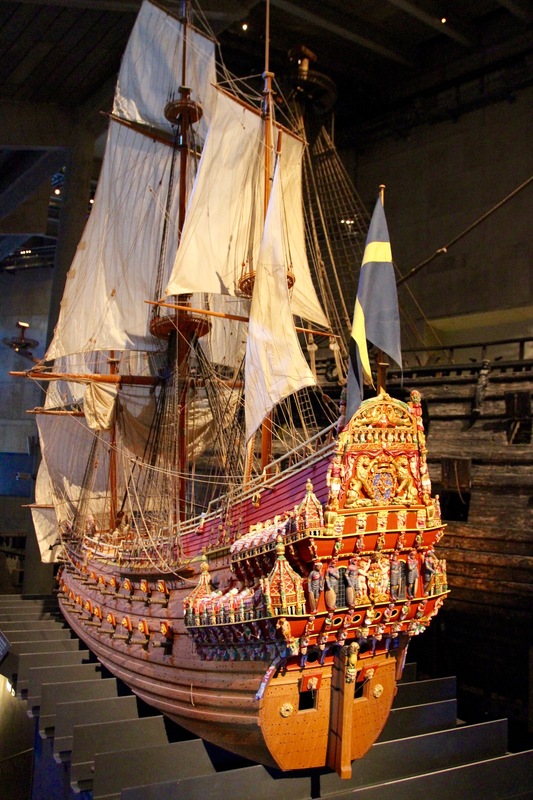 Feared on land, the Swedish navy also played a vital role in the military fortunes of the country. It was against the backdrop of the Thirty Years’ War, and Sweden’s growing power, that the King, Gustavus Adolphus, commissioned a great battleship. 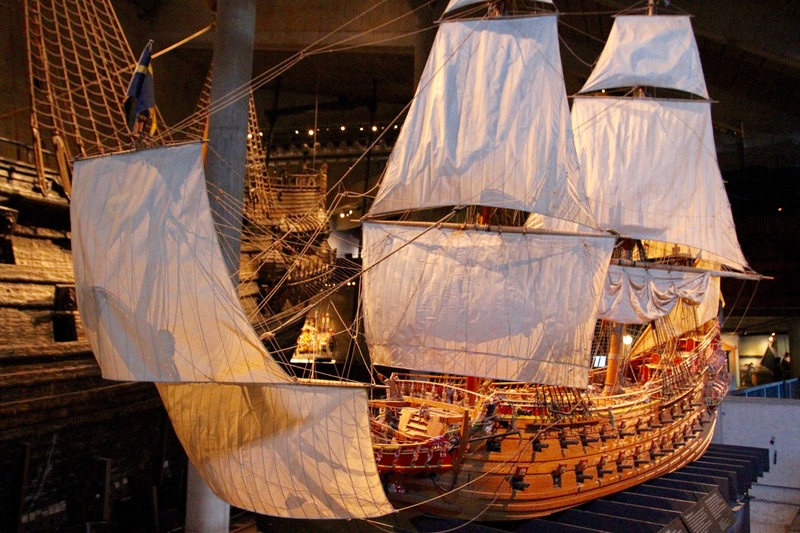 Intended as a symbol of Sweden’s imperial ambition, the Vasa was to be the most powerful ship in the Baltic. 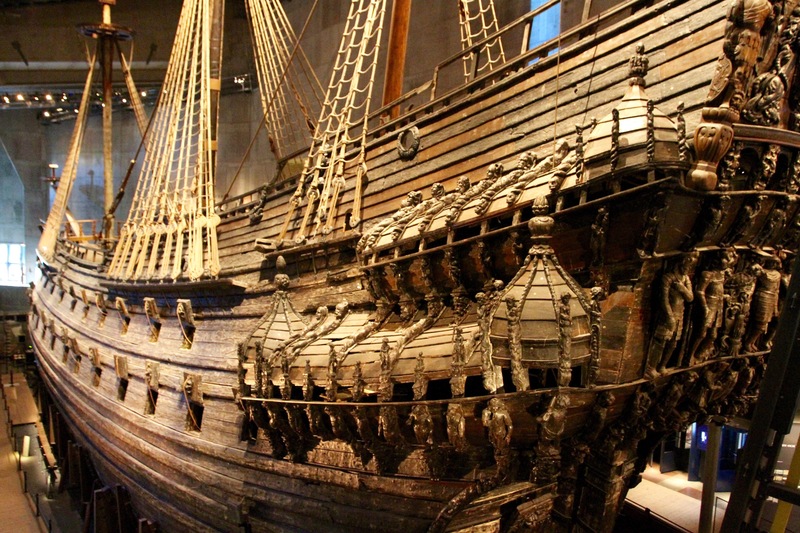 On 10 August 1628, thousands gathered in Stockholm to watch the maiden voyage of this enormous ship with all the pomp and ceremony the Swedish crown could muster. 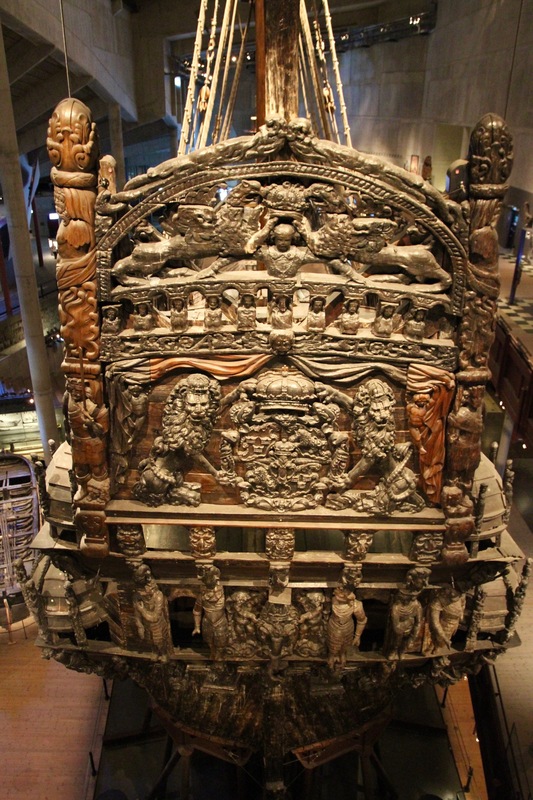 The bells of Stockholm’s churches rang out as the Vasa, richly carved with symbols of power and gloriously painted in bright reds and golds, set sail into Stockholm harbour. Almost immediately it became clear that something was wrong, a light wind tilted the ship wildly to one side. 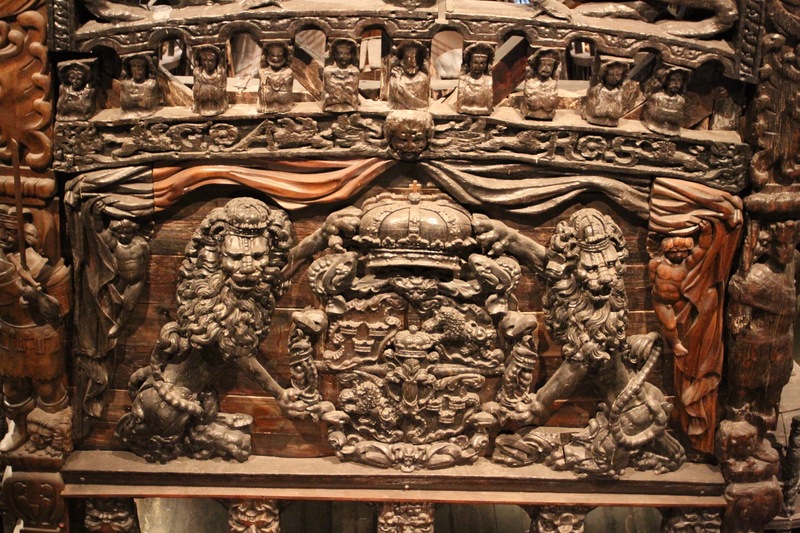 The Vasa righted itself and continued into open waters. 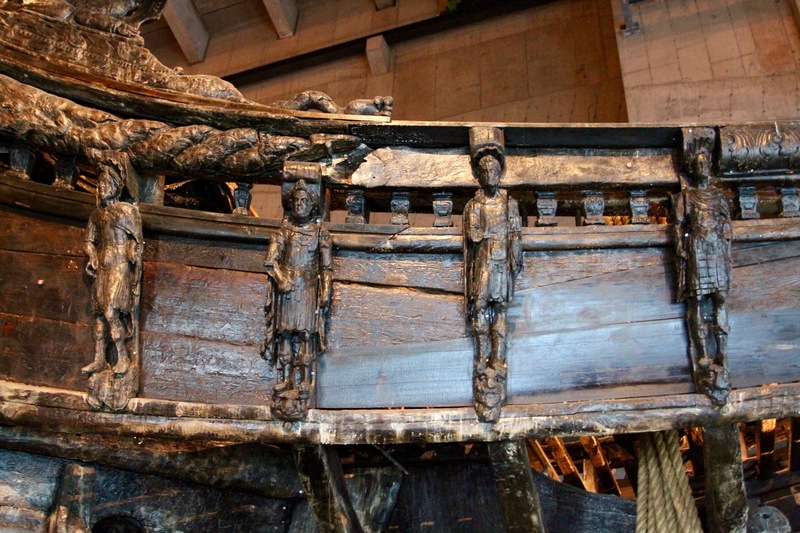 After sailing 1,300 metres, another gust of wind caught the Vasa’s sails and it began to flounder and sink. In a chaotic few minutes the pride of the Swedish navy lay on the sea bed 32 metres under water and only 120 metres from land, the sails sticking out of the water. Many of the crew, their families and guests who’d been given permission to sail on the maiden voyage, swam to shore. Thirty people weren’t so lucky, and went down with the ship. 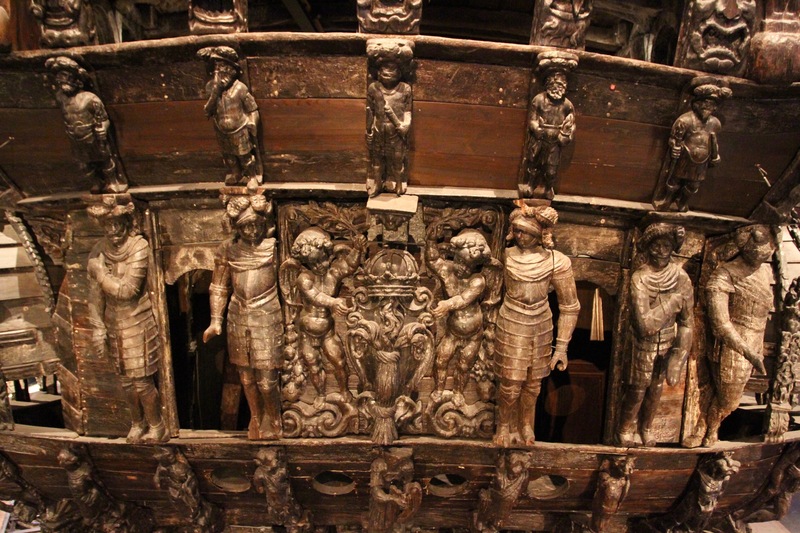 In front of so many people, and presumably spies from competing European nations, the sinking of the Vasa was a national disaster. The immediate question was how could such a tragedy occur and who was to blame? 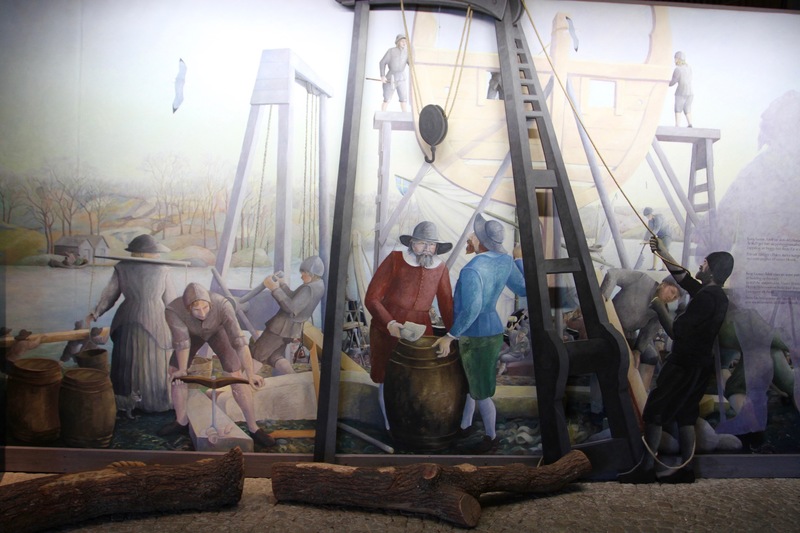 It would take 333 years to fully uncover the truth, but even in 1628 people thought there was something wrong with the ship. A few months before its fateful first and final voyage, the ship’s captain demonstrated its instability, having thirty men run from side to side of the deck. The ship rolled wildly even at anchor. Under pressure from the King, the ship was ordered to sail anyway. The rest, as they say, is history. 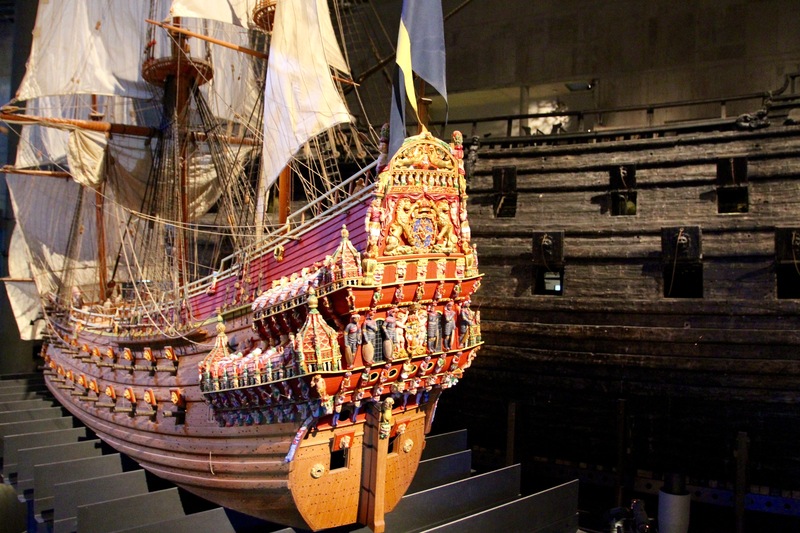 A history brilliantly told at the Vasamuseet, where the fully restored Vasa sits in a specially constructed, dimly lit, climate controlled building to preserve it for future generations. 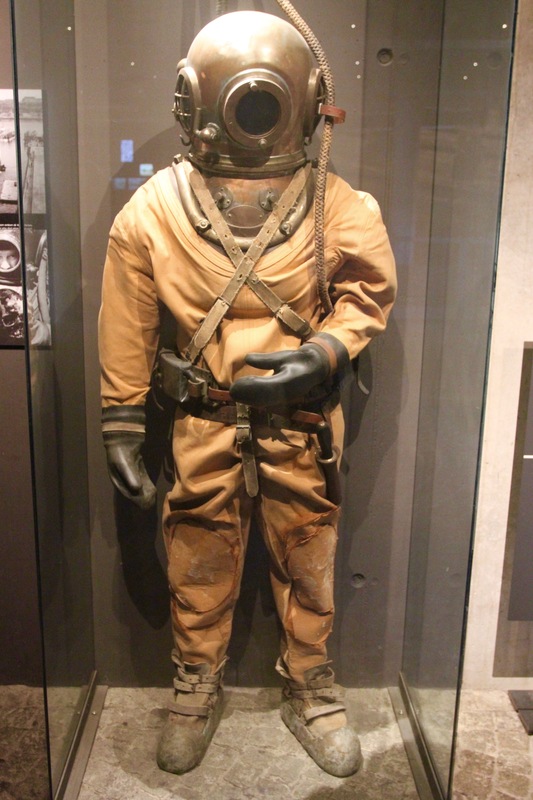 The exhibition that accompanies the ship sets the historical scene for the disaster, explains how the ship came to be salvaged and the truly unique challenges of preserving it. 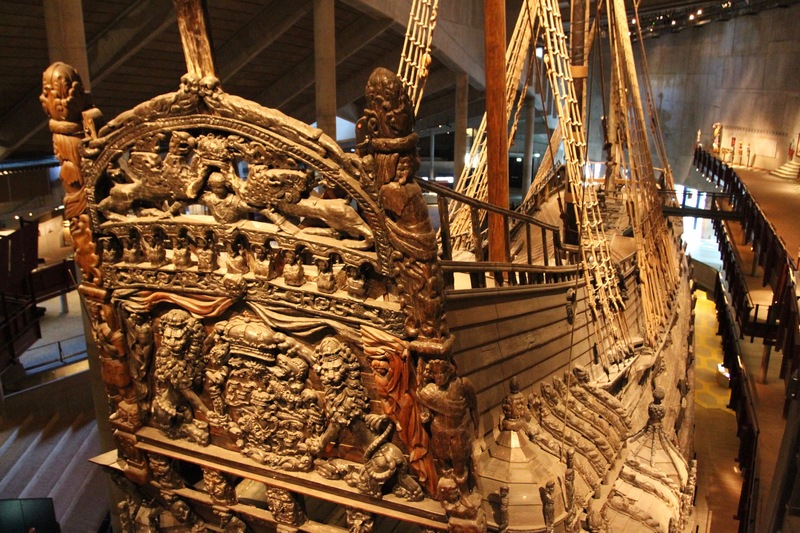 It took four years between 1957 and 1961 to raise the Vasa from the seabed, when it finally surfaced it was in remarkably good shape. About 90% of the ship you see today is original, but it took decades to preserve and stabilise sufficiently to go on permanent display. There are several reconstructions of the people who drowned on the boat. We don’t know who they are, but scientific studies have revealed much about them. 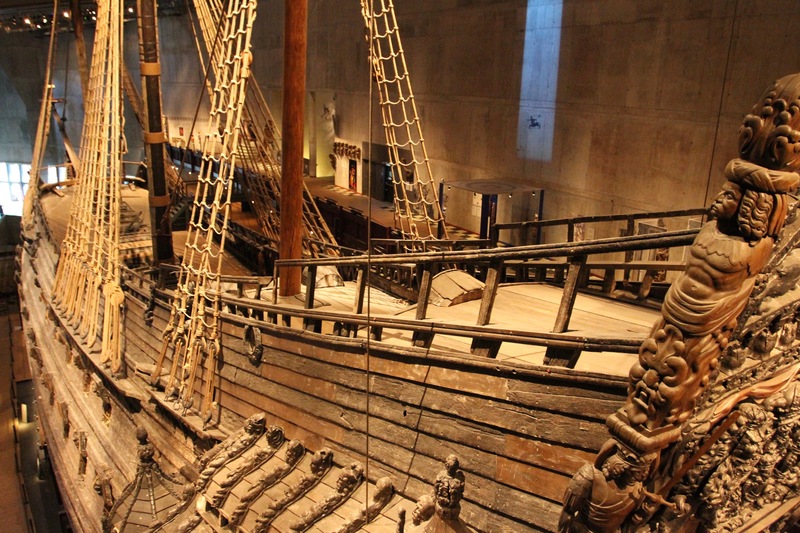 It’s fascinating and, in a city of excellent museums, the Vasamuseet is something very special. So why did it sink and who was to blame? 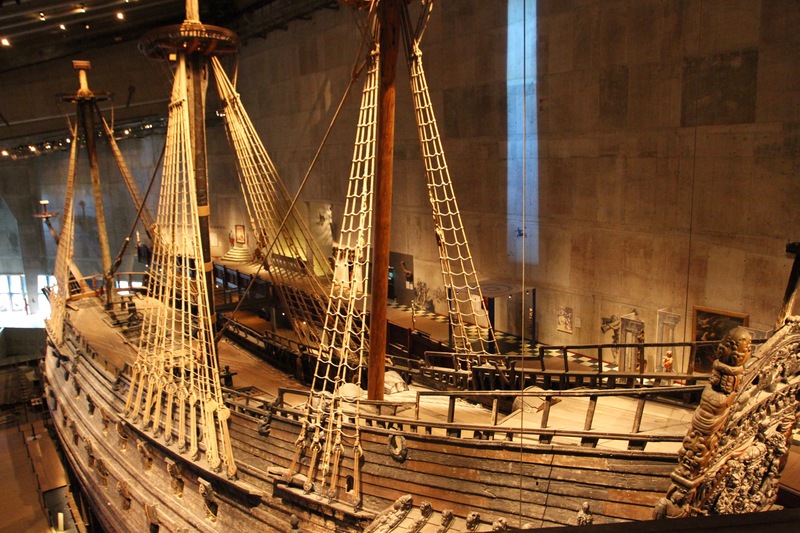 The ship was built by an experienced shipbuilder, Henrik Hybertsson, but the Vasa was much bigger than anything he’d built before, and more heavily armed. He had no way of testing the ship before it went into the ocean, but it was normal and accepted practice that new ships were often unstable and would be fixed after being put to sea. 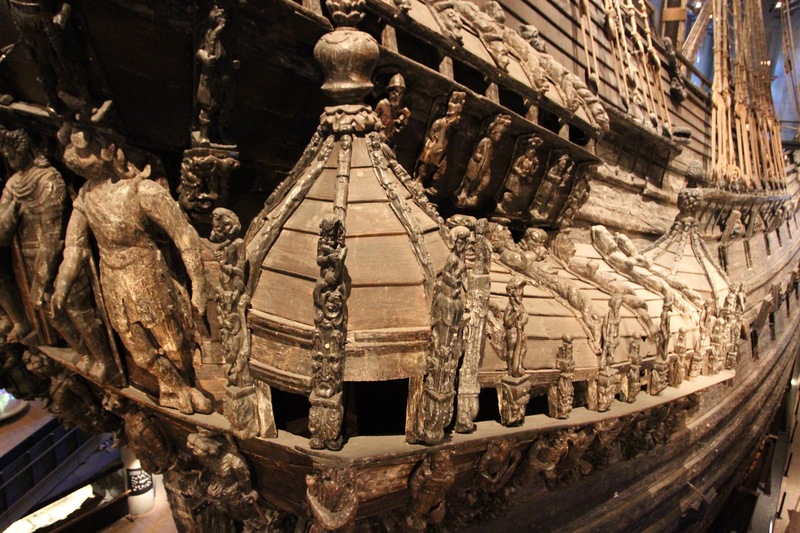 The Vasa, though, was too unstable: the hull below the waterline was too small to support the huge size and weight of the decks above, and carried too little ballast to give it stability. Still, there were numerous chances to prevent the disaster, including a fateful decision by the captain to sail with the gun ports open. Had they been closed water wouldn’t have rushed in and sunk the boat. In the end, the design was to blame, but the design had been approved by the King, and he couldn’t be implicated. Luckily, the designer Henrik Hybertsson had died a year earlier and provided the Royal inquest with the perfect scapegoat. No one else need be blamed, and Hybertsson’s death meant no one needed to be punished. In fact, most of those involved went on to hold even more powerful positions in future … including Sweden itself. 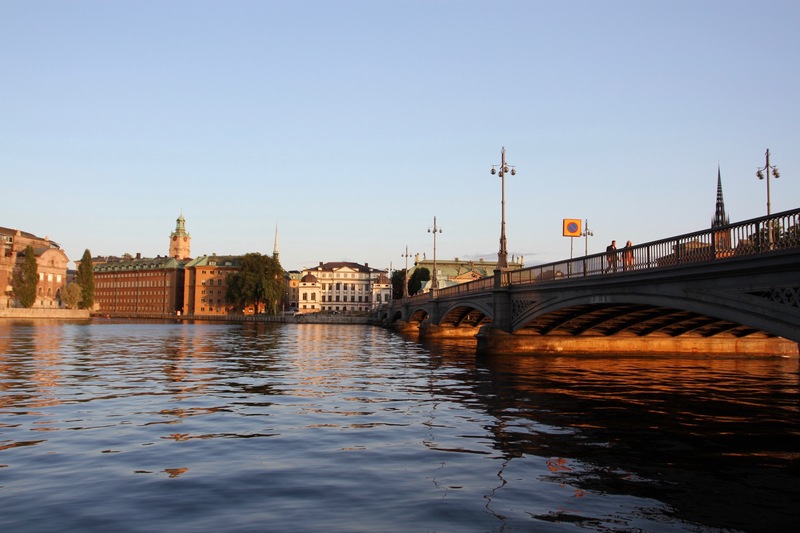 Stockholm’s relationship with water is like few other places on earth. Go anywhere in the historic centre, and you soon find yourself at the water’s edge or crossing a bridge from one island to the next. Stockholm’s global reputation as a city of culture, design, art and fine cuisine has grown hugely in the decade since I was last here; yet for all the excitement of the newest restaurant or stylish modern architecture, Stockholm is, at heart, the same city that has been defined by its watery geography for over 800 years. Exploring the unique layout of this small, cosmopolitan place is part of its attraction. The patchwork of islands, all fourteen of them, that make up the city all have their own atmosphere, and all are fascinating to explore. 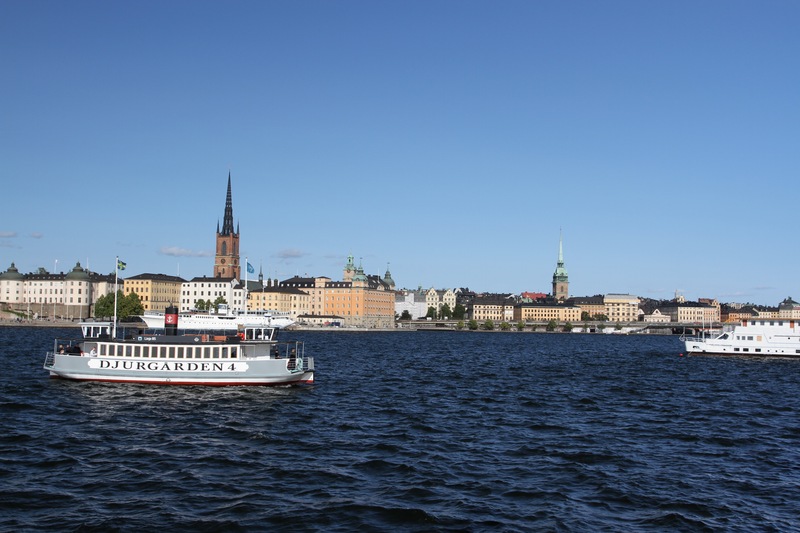 It’s pretty easy to walk most of the central part of Stockholm, trams and boats offer trips further afield. How many islands you visit depends on how long you have in the city, and with only a fews days to spare I had to make some hard choices. 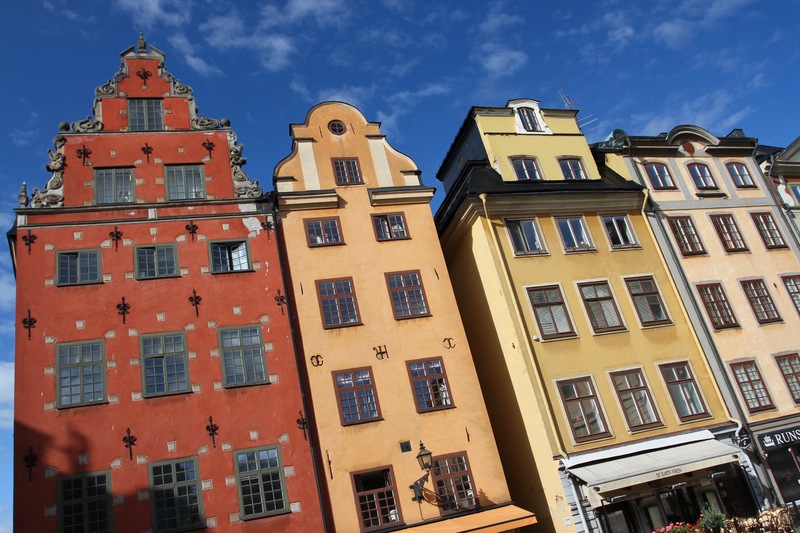 It may be touristy, but it’s impossible not to visit the medieval streets and alleys of Gamla Stan, or to wander through the vibrant and artsy Södermalm to the south. A trip to the nearby Djurgården gives you access to nature and an insight into Swedes at leisure only minutes from the city. 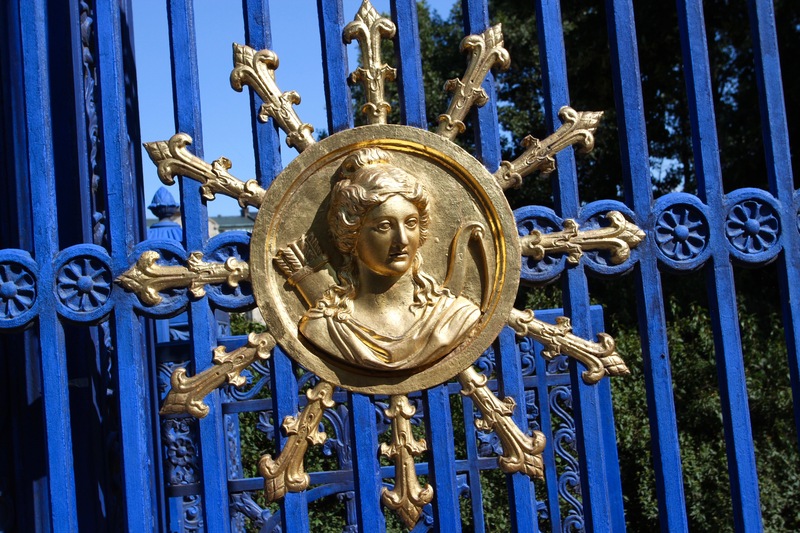 Djurgården was once the preserve of the royal family, today you’ll find a fine collection of museums and plenty of walking trails, all open to the public. I was desperate to go to the Abba Museum, but after a long walk around the island, I only had enough time to visit the Vasamuseet. 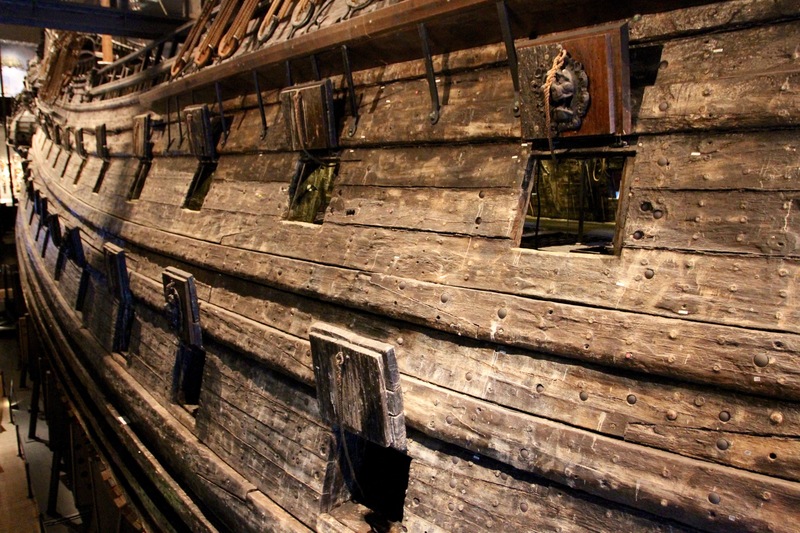 I’d been before, ten years ago, but the sight of a perfectly preserved 17th century warship never grows old. On my only other visit I was shocked by the prohibitively expensive cost of shopping, eating out, and alcohol. A leaflet I picked up from the Stockholm tourism office tried to play down the cost of the city, but in the end gave the game away by saying that if we tourists thought Sweden was expensive, we should go to Norway. Either the rest of the world has caught up, or my expectations of costs have changed, because things didn’t seem so bad this time. Although €12 for less than a pint of beer almost knocked me off my bar stool. I was staying in the city centre’s Norrmalm. A busy commercial district, it encompasses residential areas with plenty of good restaurants and bars, as well as some truly grand architecture. The Battle of Brunkeberg between Sweden and Denmark was fought in this area in 1471. It ended in a Swedish victory, and is seen as a step towards Swedish independence. 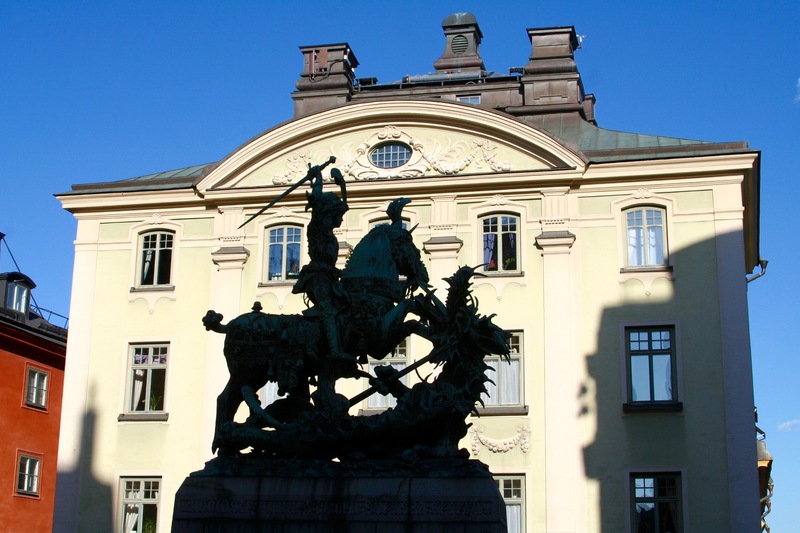 It was also the battle that gave Stockholm its most enduring emblem, St. George slaying the dragon. 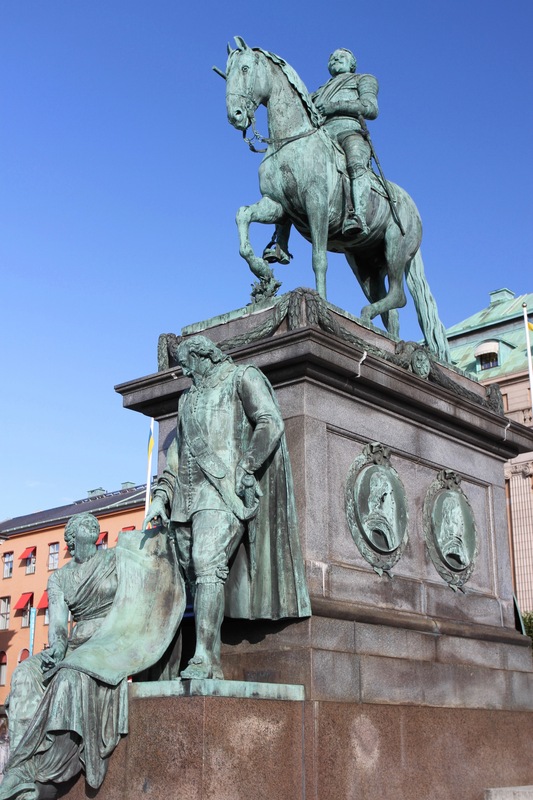 The Swedish leader, Sten Sture, is said to have prayed to St. George on the eve of battle and commissioned a wooden sculpture to commemorate victory. 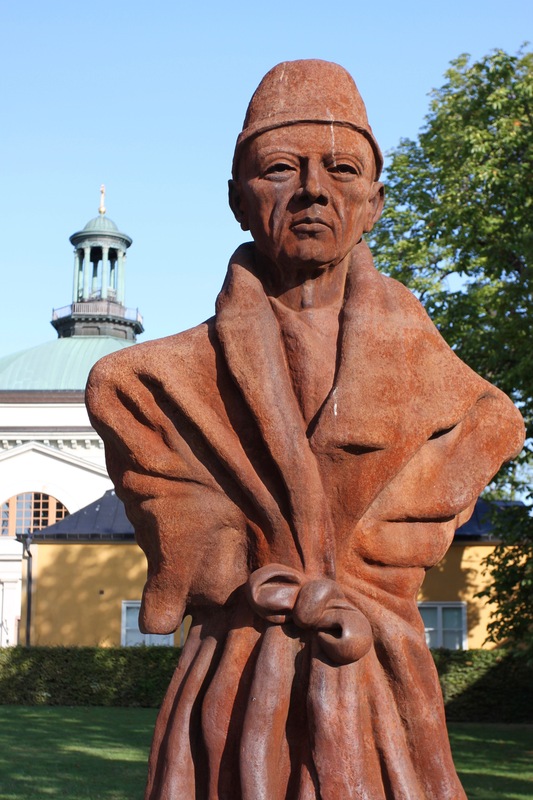 The sculpture is the main attraction in the Storkyrkan, Stockholm’s lovely cathedral and the oldest church in Gamla Stan. 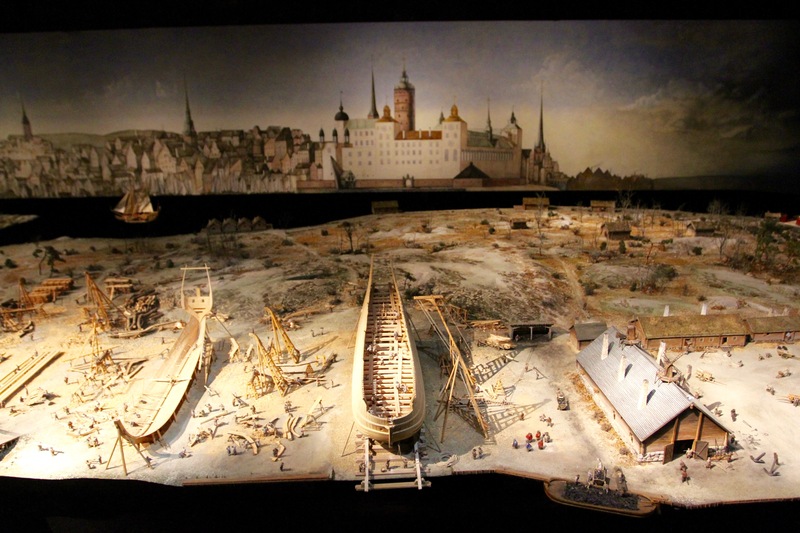 In 1471, Gamla Stan was Stockholm. 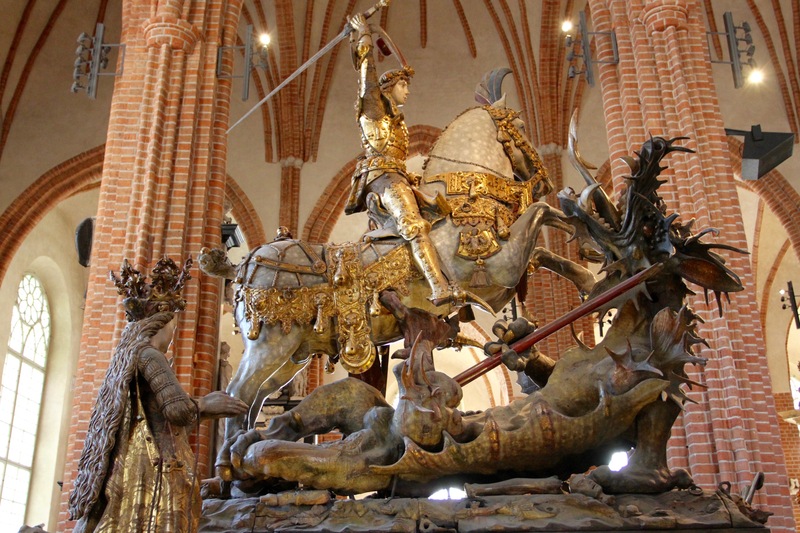 The imagery is not subtle, Sten Sture is the triumphant St. George, the dragon the defeated Danish King, Christian I. There’s a glorious bronze replica of the statue in Gamla Stan which, as the sun sets, becomes a dramatic silhouette. 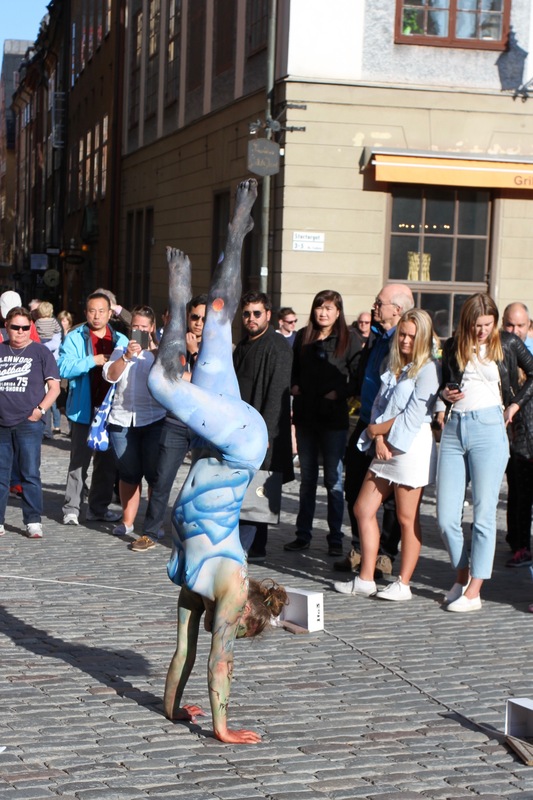 Stockholm today is a world class city, blending a wealth of history with cutting-edge trends in fashion, art, architecture, design, technology and food that defines the contemporary zeitgeist of its friendly inhabitants. It’s a truly modern metropolis that rewards slow exploration. It may have taken me ten years to return, but this trip has whetted my appetite for more.